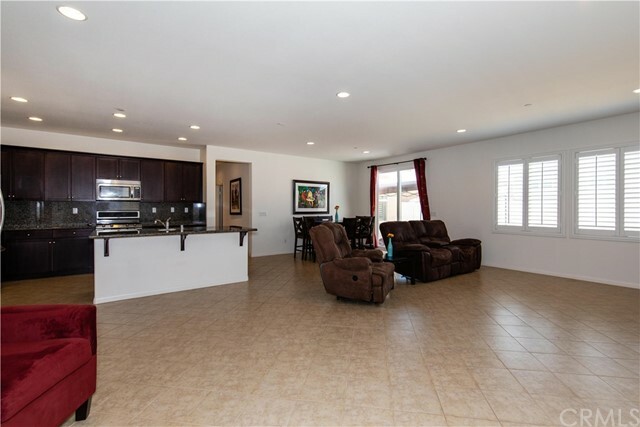 Immaculate single story Murrieta home with 5 spacious bedrooms and 3 full bathrooms. Offering 2189sf of living space, an open and extremely functional floor plan and neutral paint throughout. The beautiful kitchen has granite counters, stainless steel appliances, a chefs island, is adjacent the great room and overlooks the pool sized backyard. 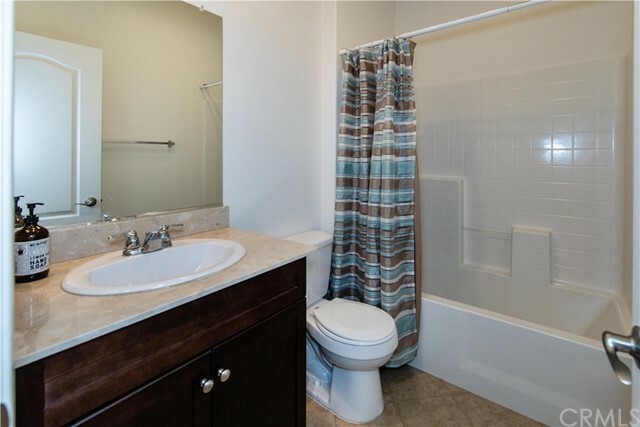 The three full bathrooms have upgraded cabinets, Perla counters and ceramic tile flooring. This home is energy efficient and includes 20 panels of paid off solar, drought tolerant landscape in the front and back, plantation shutters and a water purifier system. If you are looking for an absolutely turn-key home in a desirable area with NO HOA then this is it!! Located within the Temecula Valley School Boundary. Take a look and fall in love! West Murrieta estate home on over 2 acres of usable land with two separate four car garages. This home is stunning offering over 5500+ sf with 4 bedrooms, two master retreats one upstairs offering a fireplace, Jacuzzi tub and 2 walk in-closets. Additional master and two bedrooms with an office that can easily be used as a 5th bedroom downstairs. The kitchen has cabinets galore, granite counters, Thermador six burner range, huge walk in pantry & a beautiful view of your custom pool, spa and backyard oasis. Just off the kitchen is a massive great room with high ceilings, built media center, bar and 300 bottle wine room. Relax in the formal living room and enjoy the beautiful views and city lights through the huge picture windows. There is also a formal dining area perfect for entertaining. You can feel & see the quality of this solid built home throughout. There is room to park your boat, RV or have your own sports field. Bring your horses there is plenty of room for a barn, arena or whatever you desire. This home is on its own private well. The exterior is serene and nicely manicured. The views at this estate include, professional landscaping, a seasonal pond with wood dock, the year round lush green hills of the Santa Rosa Plateau, beautiful sunrises and sunsets as well as the breathtaking night time stars. Located on a prime corner lot, this estate is amazing! Take a look and fall in love! Low taxes and no HOA! Call today for your private viewing. Three houses on one lot! Incredibly rare opportunity to own this wine country ranch with paid off solar on nearly 3 acres of fully fenced, flat, usable land. Offering a main house, two guest houses, pool, spa and rv garage. The main house has 3bd/2ba (approx. 2150sf) with an open & extremely functional floor plan. As you enter the home you will be instantly greeted with wood flooring & raised custom wood beamed ceilings. The kitchen offers granite counters, cabinets galore and built in appliances. The great room is adjacent the kitchen with a prominent brick fireplace housing a wood burning stove. The spacious master bedroom has a newly updated bathroom with a stone shower, seamless glass door and granite counters. Step outside and you will be in awe of the incredible views of the hills, mountains and lush landscaped grounds. The sparkling pebble pool and spa are situated perfectly in the middle of the property. Just beyond the pool is a large pasture with plenty of room for horses or livestock. Kids will love the huge play area. Additional dwellings include a 2bd/1.5ba house (approx. 800 sf) and a 1bd/1ba house (approx. 600sf). The 1400sf rv garage is 40 feet deep by 35 feet wide. Enjoy beautiful sunrises & sunsets as well as the breathtaking night time stars. This home gives you the feel of the country, yet is close to all amenities. Low taxes and no hoa. Take a look and fall in love! PAID OFF 66 PANEL SOLAR!! West Murrieta single story estate home on over 2 acres of flat usable land with a salt water pool, pond and your own private well! This home is gorgeous with a neutral pallet offering 4 bd, 3ba, a spacious master retreat with a huge walk in closet, 2 bedrooms adjoined by a jack n jill bathroom and high ceilings. The kitchen has cherry wood cabinets, granite counters, a chefs island, high end appliances and a double oven. The great room is massive with views from every window. You can feel & see the quality of this solid built home throughout. The home has a 4 car garage, tons of room to park your boat, RV or have your own sports field. Bring your horses! There's plenty of room for a riding arena or to build your dream barn. This home is on it's own private well and has two holding tanks. The exterior is serene and nicely manicured. The views at this estate include, city lights, the year round lush green hills of the Santa Rosa Plateau, beautiful sunrises and sunsets as well as the breathtaking night time stars. This home gives you the feel of the country yet, is close to all amenities. 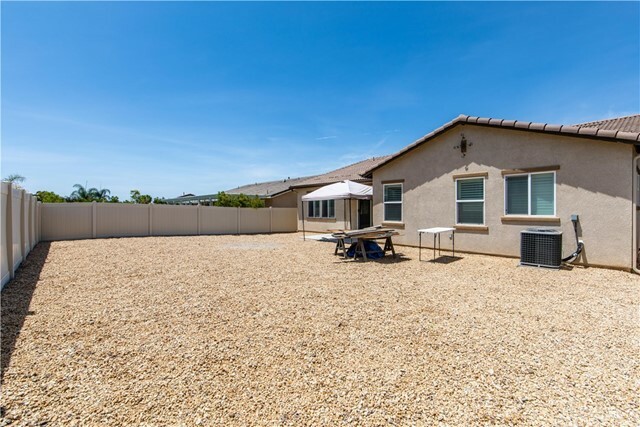 Over a half acre in West Murrieta! Gorgeous single story pool home on a quiet cul-de-sac, walking distance to Thompson Middle school and Murrieta Valley high school. This home offers 4 spacious bedrooms, 4 bathrooms with granite counters, tile flooring plus an office that can be used as a 5th bedroom. Boasting 3757 SF, this home will not disappoint. The massive kitchen is open to the family room and overlooks the backyard oasis. In the kitchen you will find high end appliances including a double oven, 5 burner cook top, granite counters, walk in pantry & cabinets galore. The spacious family room has a very open feel with windows overlooking the backyard as well as a fireplace for those chilly nights. The home has plantation shutters throughout. The fully landscaped backyard is striking offering artificial turf a breathtaking pebble swimming pool & spa with two rock waterfalls, a fun rock slide, multiple jump rocks and a grotto. Enjoy the swim up bar, built in BBQ, built in fire pit & two palapas, perfect for entertaining. This backyard is every kids dream! Don't worry about space you will enjoy a 4 car garage with room for all your toys plus rv parking. This home is close to freeways and all amenities. Located at the base of the Santa Rosa Plateau you will enjoy amazing sunrises and sunsets as well as the breathtaking night time stars. 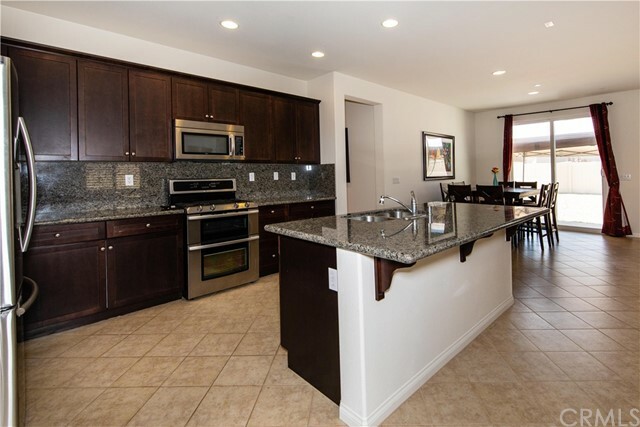 Walking distance to many walking trails and the Murrieta Creek. Come take a look and fall in love! Horse lovers dream!! Incredibly rare opportunity to own this West Murrieta Ranch on nearly 3 acres of fully fenced/cross-fenced flat, usable land. Offering a main house with a pool & spa, 2-unit Dutch Barn, Casita with second garage & RV barn, plus 6-stall barn, grazing pasture & fenced riding arena. Fresh exterior paint throughout property. The main house has 3bd/2ba (2508sf) with an open & extremely functional floor plan. The kitchen is adjacent the great room with a prominent brick fireplace and overlooks the sparkling pool & spa. The spacious master bedroom has a newly remodeled bathroom with a natural stone shower, seamless glass doors, granite counters & trough sink. Step outside and you will be in awe of the newly installed backyard patio with a massive alumawood cover, new concrete, sunscreens, built- in BBQ, fire pit & outdoor kitchen, perfect for large gatherings! Kids will love the huge play area. The Dutch Barn includes two 2bd/1ba units, both newly carpeted. The 1b/1ba Casita offers an adjacent storage room. All are turn key and perfect for family, income, or your ranch hand! The barn sports 6 stalls with 8 paddocks, tack room, office & 12'x36' overhang, plus free-standing hay-shed. This property is on its own private water well! Yes, no water bill! Breathtaking views of the valley, year-round lush green hills, beautiful sunrises & sunsets. This home gives you the feel of the country, yet is close to all amenities. Low taxes and no hoa. *BACK ON THE MARKET* subject to cancellation of existing escrow. Country living in West Murrieta! Custom single story ranch style home with a guest house on over an acre of flat usable land. If that's not enough how about your OWN PRIVATE WELL?!! Yes, you read that right! No water bill. Extremely rare opportunity to own in this quiet, quaint country setting that is walking distance to Downtown, one mile to the nearest school and minuets to shopping and freeways. The main house offers 4bd/3ba plus an office that can easily be used as a 5th bedroom and a 4 car garage. As you enter this home you will be greeted with slate flooring, raised custom wood beamed ceilings and custom woodwork throughout. The kitchen offers granite counters, cabinets galore, Viking appliances and a massive island perfect for the home chef & entertaining. The bedrooms are all spacious. There is plenty of room for the kids to play. The exterior is fully fenced, landscaped & serene with lush green grass and mature trees. You will enjoy breathtaking sunsets over the West hills & beautiful nighttime stars. The sparkling pool and spa area is also fenced. The 1bd/1ba guest house has a kitchen, living room and is perfect for your family & friends or it can be income producing. No hoa and extremely low taxes the special assessment is only $228.82 annually. Bring your horses, bring your toys come take a look and fall in love! Country living in West Murrieta! Beautiful single story ranch style home located on a paved road, sitting on an acre of flat usable land with your own backyard oasis. Extremely rare opportunity to own in this quiet, quaint country setting that is walking distance to Downtown, one mile to the nearest school and minutes to shopping and freeways. This home offers 4bd/3ba plus an office that can easily be used as a 5th bedroom and a 3 car garage. As you enter this home you will be greeted with real wood flooring, crown molding, neutral paint, and abundance of natural light. The kitchen offers stone counters, cabinets galore, a large island and amazing views from every window. The bedrooms are spacious with custom paint. The master bedroom has a fireplace perfect for those chilly evenings. The master bathroom has a jetted tub and stone shower. Recent upgrades include all new windows, shutters and solar. The exterior is fully fenced, landscaped & serene with lush green grass and mature trees. You will enjoy breathtaking sunsets over the West hills & beautiful nighttime stars. The sparkling pebble, saltwater pool has a giant slide, waterfalls, reef step and swim up seating. The outdoor kitchen offers a built in bbq, refrigerator and ice chest. No hoa and extremely low taxes the special assessment is only $347.92 annually. Bring your horses, bring your toys come take a look and fall in love! Perfect Home for Multi-Generational Families Seeking Comfort & Privacy or Great Passive Income Opportunity with Granny Flat Addition. Custom Single Story Home has living space of 2,740 sq ft. and resides on a 27,858 sq ft lot. Great layout for families seeking OPEN-CONCEPT LUXURY LIVING with 4 Bedrooms fully outfitted with PRIVATE BATHROOMS and walk-in closets. Custom front door with elegant Oak flooring throughout, 10+ Foot ceilings with solid core 8 Foot interior doors. The combined formal living and dining room styles custom interior paint allowing room to feel open and spacious. Open-concept large kitchen with custom quartz matching center island and counter tops equipped with soft close hardware shaker cabinets for an abundance of storage, as well as a walk-in pantry. The kitchen includes all new stainless steel appliances, micro-wave, dishwasher. The kitchen opens to a very spacious family room with second gas fireplace and separate multi-level wet bar with sink and space under cabinet-counter a place for mini refrigerator. 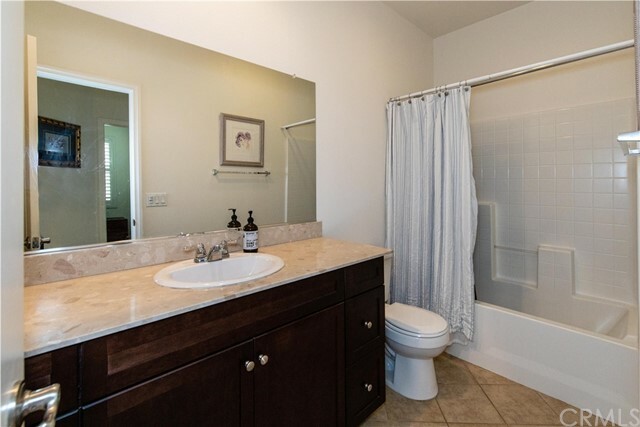 Master bathroom includes Freestanding tub, large Double Sink Vanity, oversized walk-in closet. Home includes 3 car garage with potential RV parking on SUPER LARGE LOT. Come out & see all the luxury extras. No HOA & low taxes. Nearby schools, shopping & easy access to I-15 Fwy, Oceanside Beach, Del Mar Race Track and near by Casinos. Beautiful single story on a corner lot with RV parking in the city of Orange. Offering 1378sf, 3bd & 2ba on an over sized lot (9,100sf) with a 2 car garage. The kitchen has granite counters, cabinets galore and a large island perfect for the home chef. The family room has a cozy fireplace for those chilly nights. The bathrooms have been upgraded with granite counters and porcelain wood look flooring. Additional upgrades include newer dual pane windows, stainless steel appliances, recessed lighting and custom paint throughout. The home is completely one-level with no steps inside. Located in the award winning Villa Park school boundary and close proximity to shopping, freeways and the Orange Circle. Take look and fall in love! MUST GET AN OFFER THIS WEEK! BEST BUY WITH OVER $150k PRICE REDUCTION FOR THIS BEAUTIFUL VIEW PROPERTY IN A FANTASTIC LOCATION. This gated intimate enclave has estate size properties yet is just a short distance from charming Old Town and easy freeway access just 2 miles away.Olive Hill Ranch is nestled within gentle rolling hills and surrounded by horse property. This almost 1 acre parcel is located near the end of a cul de sac with unobstructed rear views. The fenced in property is zoned for horses. Upon entry, the dramatic two story living room is flooded with natural light while the open concept kitchen and family room has numerous built-ins, a large island, granite countertops, stainless appliances, a 6 burner gas range and a stacked stone fireplace. DOWNSTAIRS THERE IS AN ENSUITE BEDROOM with a walk-in closet and a full bath perfect for in-laws or guests AND there is a MAIN FLOOR SEPARATE office. Distressed wood floors throughout the main living space add to the warmth of this easy to live in floor plan. Upstairs the master suite showcases a beautiful view, two walk in closets and a large scale master bath with 2 additional bedrooms with a full hall bath upstairs. A generous bonus room with balcony complete the second story. A spacious and private yard with with room for a POOL awaits. RV Parking with 3 car garage (2 car and 1 car). LOW HOA DUES! NOT to be missed if you are looking for a serene setting, and beautiful appointments! A FANTASTIC BUY! PRICED TO SELL!!! Fallbrook-Mission Oaks Estates, 17 Custom Homes in this Beautiful-Private Community, 4 Bedroom, 3.5 Bath Home with an Open Floor Plan, High Vaulted Ceilings and Plenty of Room to Entertain. DOWNSTAIRS MASTER BEDROOM with Large Master Bath, Double Sinks, Soaking Tub, Shower and Walk in Closet, Large Family Kitchen with Granite Counters, Double Ovens and a Walk in Pantry, Kitchen is Open to the Large Family Room with Fireplace, Formal Living and Dining Rooms with Additional Fireplace, Upstairs Boast 3 Large Bedrooms, 1 Room Has a Private Full Bath, Could be Used as a Master Bedroom, This Home is sitting on a .53 Acre Lot with INCREDIBLE VIEWS to the East and Palomar Mountains, Walking distance to Los Jilgueros Preserve, Wonderful Breezes, Great Neighborhood, High School, Camp Pendleton, Shopping and Entertainment Close. Don't Miss this Rare Opportunity to View and Own this Incredible Home. MAJOR PRICE REDUCTION | TURNKEY | MEADOWVIEW | SINGLE STORY | OPEN FLOOR PLAN! Need I say more? This home has been completely updated both inside and outside. The owners, (one of which is a Disney artist) have spared no expense in creating a rustic elegance throughout this home. From the exposed wood porch posts and stone work in the front of the home to the hand crafted decorative window shutters, and copper rain gutters. Open the front door and be welcomed in with an open floor plan that is perfect for gathering the family together and entertaining. Hardwood floors throughout, updated bathrooms each with dual skins. Three extra large bedrooms all with crown molding and newer paint. The master bedroom is designed with wall to wall closets, equipped with organizers and a sliding door to the backyard. The updated master bathroom with dual sinks is accessed through a newly installed barn door. The kitchen has a country sink, double door refrigerator. The kitchen opens up into the family room and is tied together with a large island and fireplace. The Backyard has a newly built covered patio, as well as a fire pit area. A perfect yard for building a custom pool. Up the slope you will find another flat pad that can be used to build a barn or horse corral. Plenty of room for RV. Security gate in front and privacy fence for the backyard. If you are looking for a single story home in Meadowview this is the home! Hurry up, won't last at this price! Rare, Single Story End Unit with two Patios! Location, Location, Location! Walking distance to Doheny Beach and Harbor. Step into the Living room with Vaulted ceilings, recessed lighting, crown molding and fireplace. Plantation Shutters throughout the home. Upgraded kitchen with Stainless Steel appliances, granite, hot water tap and newer cabinets that have slide outs, including all shelves in pantry. 3rd bedroom currently used as office with French doors, could be used as a Den or converted back to bedroom. Master Bedroom has vaulted ceilings, crown molding and its own private patio. Master Bathroom has double sinks, walk in shower and linen closet. Secondary bathroom has been upgraded with Jetted spa tub, granite counters, newer cabinets including the linen closet that provides lots of storage. Solar tubes in home provide great lighting in both bathrooms and Hallway. Back patio is perfect for entertaining or relaxing with cool ocean breezes. Two car garage. Seaside Villas has 2 pools, one heated year round. A remodeled clubhouse features a fireplace and a cooking area along with an outside cooking BBQ by the pool. Gated access to the San Juan Creek Trail, easy to walk or bike to beach. Enjoy the Beach life and experience the festivities, such as Doheny Blues festival, Festival of Whales, Tall Ship festival, Wine Festival and lots more. The neighborhood also offers amenities such as a grocery store and several great restaurants within walking distance. Upgraded and immaculate pool home on one of the best lot locations in Redhawk. Golf course and panoramic city lights views on a cul-de-sac and open area at side yard. Over 3350 sf of impressive and high tech living space w/ 4 bedrooms (one used as an office), plus a large game room/loft and a theater room. Fully paid and owned 33 panel solar system along with 100 amp electric vehicle wiring in the garage...save some money! Interior boasts plantation shutters, upgraded flooring & baseboards, modern ceilings fans, light fixtures & upgraded door hardware. Home includes a Control 4 Automation and Smart Home System along with 24 sound speakers throughout. Gourmet kitchen with Kitchen-Aid stainless steel appliances including 6 burner stove, two dishwashers and warming drawer. Master bedroom has a peaceful balcony so you can relax and enjoy the dramatic sunset and city views. Custom built-in organizers in the large master closet; bathroom has jetted tub, smart toilet, granite counters, updated lighting & oil rubbed bronze fixtures. Theater room has built-in media wall and Dolby Atmos surround sound (can be used as 5th bdrm).Water conditioner and softener & reverse osmosis. Private backyard with Pebble-tec pool & spa, and two automatic shades. Incredible views that can't be beat. Located in Great Oak School District, close to Birdsall Park and minutes to Temecula Wineries & 15 freeway. This home has so much to offer inside and out...and location is everything in Real Estate! Beautifully Remodeled Ranch-Style home in Fallbrook on over an Acre of mostly flat land with a well! This home features 3 bedrooms and 2 bathrooms with lots of natural light and a great layout. The kitchen has been completely transformed with brand new cabinets & granite, stainless steel appliances including a double oven, large island for all your cooking/prepping/serving needs with low voltage lighting above & below the cabinets for a great ambiance. Both bathrooms were also entirely remodeled with new cabinets, counter tops, sinks, fixtures, toilets and the master shower has a fantastic walk-in design. All new laminate wood-like flooring throughout the entire home, new beautiful paint, new lighting fixtures and so much more you just have to see. Gather your friends and family around the gorgeous and chic gas-burning fireplace with fire glass...very elegant! Outside let your imagination run wild as you'll find lots of mature trees, open space with so much potential as well as a large entertainer's covered patio area for socializing and relaxing. There's also a hobby/workshop/she-shed behind the home as well as a tack-room that once serviced horses that used to live on the property. Need parking space for your RV, boat or other toys? This home has it! The recently resurfaced asphalt driveway is long enough to pull a fifth wheel onto and then some! Plus there's even a half circle driveway so the property has two driveway entrances. Welcome Home! BLACKMORE RANCH Beautiful 5 bedroom home with stacked brick & stone elevation boasting largest living space available in Central Murrieta with 4542 SF and built in 2006. The home is highlighted by a private upgraded pool & spa on quiet cul-de-sac with city lights and canyon views. This home backs up to the natural canyon open space and has a large balcony off the master bedroom. It has a hard to find 4-car tandem garage. The open kitchen has a granite island and counter tops, walk-in pantry, and tile flooring. One downstairs bedroom and bathroom with hall bath. Huge bonus room upstairs that can be your movie room. 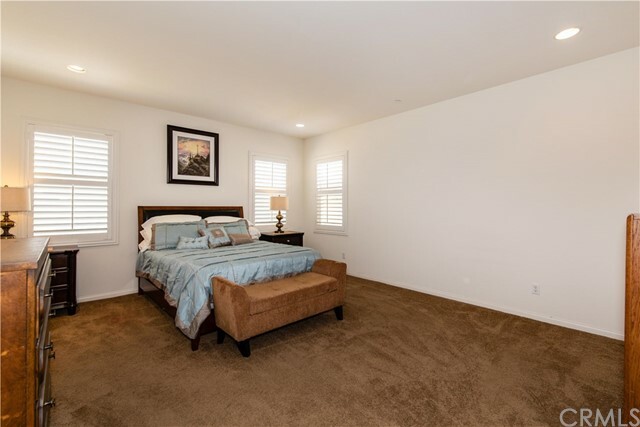 Master bedroom features beautiful suite with tile flooring and a huge walk-in closet. Three large secondary bedrooms upstairs with a nice hall bathroom with 2 sinks. Spacious and private separate family room with a fireplace. Open living room and formal dining greets you from the entry way The Butlers pantry has granite countertops and lots of working space. Huge laundry room with a utility sink. Walking distance to Blackmore Ranch Park, Children's Lighthouse Learning Center (daycare) and Tovashal Elementary school, highly rated California Distinguished School. The high school is Murrieta Mesa. Close to 15 and 215 freeways. This home is a must see! Beautiful West Murrieta 5 bedroom, 3 bathroom pool home boasting 3,259sf. This home is sitting on a generous 10,890sf lot with a 3 car garage and RV parking. As you enter the home you will be greeted with high ceilings, a curved staircase with wrought iron balusters and plantation shutters. The front living room is perfect for gaming or movie nights. The dining room is spacious and offers plenty of room for a family table. The kitchen has granite counters, a large island, built in cook top and cabinets galore. Adjacent the kitchen is the great room with a fireplace making great ambiance or to stay warm during those chilly winter nights. The first floor has one bedroom and one bathroom making it extremely functional as a next gen home if needed. Head up the stairs and you will love the additional 4 bedrooms including the master plus two bathrooms. The master bathroom was recently upgraded with a travertine shower, seamless glass door, wood plank vanity top and double sinks. 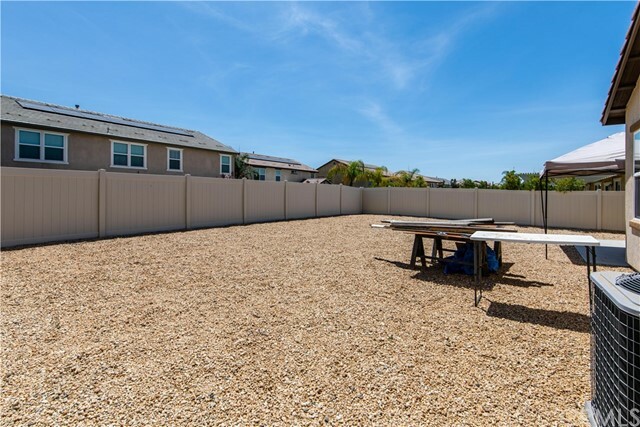 The backyard is lush and fully landscaped including a saltwater pool and spa with new variable speed pump, built in bbq, large side yard plus RV parking. This home feeds into Murrieta's award winning schools and is in a desirable location close to shopping and freeways. Call today for your private tour. Take a look and fall in love! Desirable Harveston Community. Enter into this Rare SINGLE STORY 4 bedroom/3 Bathroom Residence with a Master Retreat & office tech center. Upon entrance you will find a welcoming formal foyer leading into a large Living Room, Dining Room, grand Kitchen with island and granite counter tops, and a family room with fireplace. The Master suite has a large walk-in closet, jetted tub, walk-in shower, dual sinks & separate retreat. Remaining rooms are located on the other wing of the home. There is an Inside Laundry room, Two Car Garage and large Backyard professionally landscaped with a 'maintenance free' outside deck for Entertaining. This rare floor plan of 2815 sq ft hardly ever comes available, and you will love the smart floor plan that you will have to see to appreciate. High ceilings throughout create a luminous effect. Community Amenities offer a 17 acre Lake to stroll around, a beautiful clubhouse, olympic size pool & spa, clubhouse with meeting rooms, outdoor fireplace with cooking BBQ area, a paddle boat and fishing in the lake, jogging/walking paths, playgrounds, a sports park, and endless opportunities for fun & recreation. Enjoy award-winning Temecula schools, parks, shopping, dining, entertainment, wineries, and famous Old Town. If first class is your way of life, you’ve just found your new home. EXQUISITE EXECUTIVE ONE STORY HOME. OUTSTANDING 180 DEGREE VIEWS FROM THIS BEAUTY, EXTREMELY UPGRADED (OVER $100K). DESIRABLE PASEO DEL SOL AREA. STUNNING CUSTOM BUILT IN CABINETRY THROUGHOUT HOME TO INCLUDE CUSTOM BUILT-IN CLOSETS. BUILT IN ENTERTAINMENT CENTER IN FAMILY ROOM AND HUGE CHERRYWOOD BUILTIN CHINA HUTCH IN FORMAL DINING ROOM.4TH BEDROOM USED AS OFFICE. 18 BY 18 INCH TILE THROUGHTOUT HOME. SPA WITH MUSIC STAYS. WOOD SHUTTERS. GRANITE COUNTER TOPS. CUSTOM PAINT. 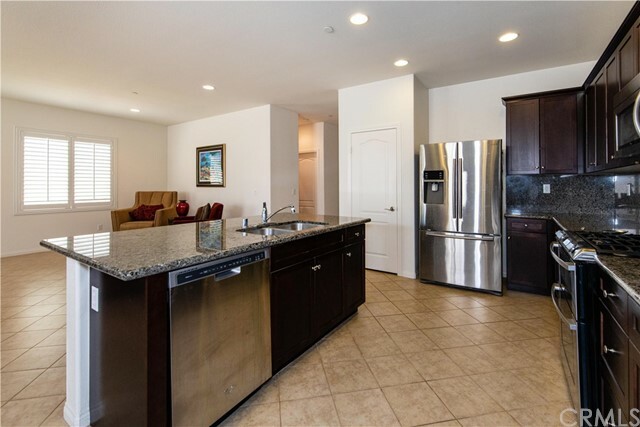 COMMUNITY OFFERS 2 CLUBHOUSES W/3 POOLS AND FITNESS CENTERS, PLAYGROUNDS FOR KIDS, BASKETBALL COURTS AND PARKS, TENNIS COURTS, WALKING PATH THROUGHOUT THE COMMUNITY, 5 MINUTES TO 15 FWY, AND VERY CLOSE TO PROMANADE MALL, TEMECULA WINERIES, RESTAURANTS, SHOPPING CENTERS, EXCELLENT #1 LOCATION!! DISTINGUISHED SCHOOLS AND MUCH MORE. A MUST SEE!!! THIS BEAUTIFUL PRACTICAL FLOOR PLAN HOME HAS ENOUGH ROOMS FOR EVERYBODY!! 180 DEGREE VIEW OF LAKE from Master Bedroom, Livingroom And front patio. Enjoy your morning coffee viewing lake from your master bedroom decking. New carpeting, kitchen countertop & sink are some the of upgrades. This is a rare opportunity to own a home on the lake. Kitchen open to family and dinning area of home. This floorplan Elevation is the only one with a larger decking outside of master bedroom. also included is a office area on main floor. The Harveston Lake Community is one of the most popular in Temecula. Make sure to include Harveston in your home search. A PICTURE IS WORTH A THOUSAND WORDS. THIS GOLF COURSE VIEW HOME HAS FOUR BEDROOMS AND THREE BATHS. THE OPEN STAIRWAY LEADS TO A BONUS ROOM WITH A STUDY/WORK TECK/ROOM WITH LOTS OF NATURAL LIGHT. THE LOWER LEVEL CONSISTS OF FORMAL DINING ROOM,, LIVING ROOM, BEDROOM, BATH ROOM, ANOTHER EATING AREA IN BETWEEN THE LARGE KITCHEN AND THE FAMILY ROOM WITH FIREPLACE. THERE ARE THREE CAR SPLIT GARAGE , THE THIRD CAN BE USED FOR STORAGE OR WORKOUT ROOM. THE SLIDING DOOR LEADS TO A LARGE BACK YARD WITH COVERED PATIO, MATURE TREES AND PARK LIKE SETTING OVER LOOKING THE GOLF COURSE. THERE ARE FIFTY WINERIES AND ENTERTAINMENT WITH FINE DINING, WITH LODGING FOR YOUR GUEST. THERE ARE TWO LAKES CLOSE BY THAT RENT BOATS OR LAUNCH YOUR OWN. THE MOUNTAINS ARE ONLY AN HOUR AND A HALF FOR SNOW SKIING AND MOUNTAIN LAKES WITH DINING AND SHOPPING. THE DESERT SAND DUNES ARE AN HOUR AWAY IN PALM SPRINGS AREA. THE OCEAN BEACHES ARE LESS THAN AN HOUR TO OCEANSIDE. THE SAN DIEGO AND ONTARIO INTERNATIONAL AIRPORTS ARE WITHIN AN HOUR. THE SCHOOLS ARE DISTINGUISHED AND HAVE FINE ARTS PROGRAMS AND BOYS AND GIRLS ATHLETIC TEAMS. OLD TOWN HAS ANTIQUE SHOPS AND DINING. THE SHOPPING MALL IS ONLY FIVE MINUTES CLOSE AND FISHING IS ONLY FIFTEEN MINUTES. THE WHOLE FAMILY WILL LOVE LIVING HERE IN THE SOUTHERN CALIFORNIA WINE COUNTRY. PRICED TO SELL. GORGEOUS HIGHLY UPGRADED four bedroom three bathroom POOL home...one bedroom and bath downstairs...located in the PRESTIGIOUS gated community of Rancho Serrano in Redhawk. Completely remodeled kitchen BOASTS BEAUTIFUL granite and HIGH-END stainless appliances including a Dacor SIX-burner cooktop. Master bathroom is AMAZING with slate tile throughout the extended shower and oversized tub! LOVELY Travertine tile throughout main traffic areas. HUGE bedrooms and SPACIOUS bonus room provides the perfect amount of space! GORGEOUS SOLAR-HEATED pool perfectly situated for enjoying and entertaining! LOW-MAINTENANCE yard with BEAUTIFUL SIX-FOOT vinyl fence offers perfect privacy! This Executive home is PRISTINE and shows BETTER THAN A MODEL! AWARD-WINNING school district. Easy access to shopping and freeway! This is a MUST-SEE! THREE ( 3) full Master Bedrooms with POOL and VIEW!! Yes I said it, there are 3 master suites in this home PLUS a full bedroom and bath down...oh wait...and a pool and view! Just look at the pride of ownership in this lovely home. The curb appeal welcomes you with gorgeous but low maintenance garden with a half circular drive, 3 car garage and a courtyard with water feature and lush landscaping! The entrance will wow you with all the crown, base and chair mouldings and then few steps in you realize the entire ceiling of the formal living room is a gorgeous 9 section coffered ceiling. They take every opportunity to make sure everything is clean, in great working order and showing conditon! The kitchen is meant to entertain with Stainless steel appliances, huge island, breakfast nook and built in bench seating that opens to the family room! The fireplace is there to keep you warm in winter and right outside the door is the lap pool that is meant to cool you down in the summer! (They even just recently resurfaced the pool & installed brand new pool equipment. The upstairs is basically all 3 master suites ( one with an outdoor balcony) and a bonus room. 2 of the Masters have private en suite's. There is no one behind you and you have full view of the 12 fairway and mountains beyond. Great Oak School District and low taxes and low HOA. What more could we want? This is Fairway Ridge Plan 2 with Great Golf Course view with par 3 green is directly below your eyes from master bedroom and backyard. Great gated community. Upgraded Former Model Home!!!!! 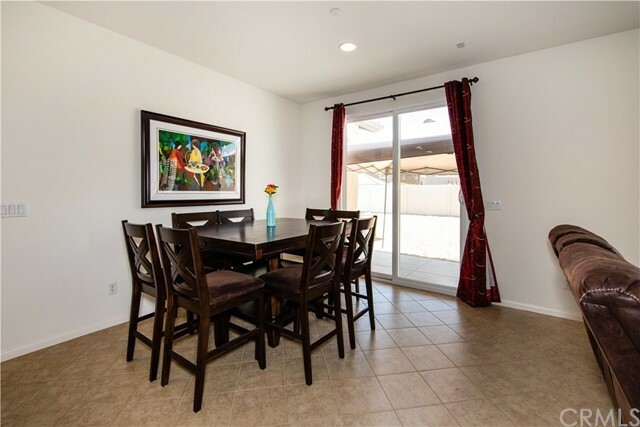 This is a Turnkey Home Located in the heart of Temecula Wine Country. Media center complete with built-in speaker system. Home with 3107 SF features 4 bedroom, 3 bathroom with 2 Car Garages. Included furniture & appliances, center island granite counter tops, laminate floor in the kitchen & entrance area, den for office or library have building desk and bookshelf. Professionally designed Frond & backyard great view can be a perfect BBQ area. Surrounded by the wonderful Redhawk Golf Course & panoramic mountain view, Perfect location for shopping, church, golf, wine country etc. Also best high school (Great Oak High School). Must see to appreciate. All the Furniture's are option to purchase. Gorgeous Murrieta Pool Home! Offering 2751sf, 4 bedrooms, 3 bathrooms plus an office that can be used as a 5th bedroom if needed and one of the lowest tax rates in Murrieta. That's right save thousands per year on taxes & NO HOA. The special assessment is only $193.96 per year. As you enter this lovely home you will be greeted with newer wood plank vinyl flooring, neutral paint, high ceilings and crown molding. The first level has a living room, office, formal dining area plus a great room. The kitchen is stunning and was completely remodeled within the last two years including new dark wood cabinets, granite counters, stack stone back splash, recessed led lighting and stainless steel appliances with a double oven. The great room has a wet bar and a fireplace perfect for those chilly winter nights. 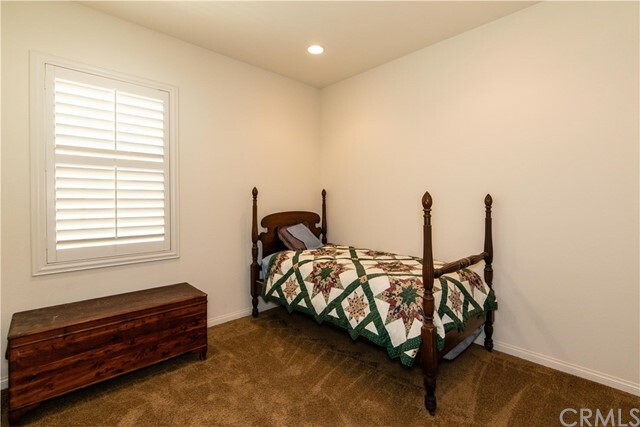 The master bedroom is spacious with a large walk in closet. The master bathroom has been updated with a soaking tub, ceramic tile shower, seamless door, and a vanity with double glass bowl sinks. The backyard is perfect for entertaining with a pebble pool and spa, outdoor kitchen with a bbq, sink and refrigerator. The landscape is extremely low maintenance. The home feeds into Murrieta's award winning schools and is close to all amenities including shopping, parks and freeways. This one won't last so call today for your private tour! WOW HOUSE... POOL, SPA, & HOME THEATER!!!!! This extra spacious home features 5-bedrooms, 3-bathrooms, bonus room, home theater, covered patio, pool & spa! The entry area has a new weathered wood accent wall. There is a huge bonus room with two sets of double doors perfect for office, game room, home gym, or extended family. The home theater room is complete with a wall-to-wall 8' X 14' movie screen, projector, and Bose surround sound system. The kitchen/dining area has lots of cabinet space, big island, and two dining areas. There is a large bedroom down stairs near the full bathroom with walk-in shower. Upstairs, there are 4 very spacious bedrooms with engineered wood floors. The master bedroom is large with lots of windows and a niche/sitting area. The master bathroom has two vanities, two walk-in closets, and a separate shower and garden tub. There is another full bathroom upstairs with dual sinks, tile counter tops, and a large shower/tub. The saltwater pool is heated. This home has lots of extras, including: New water softener system, Nest thermostat, whole house fan, custom security screen doors, and a 3-car garage with a huge screened garage door! The back yard is packed with fun! There is a big pool with waterfall, spa, a large covered patio, turf, and a dog run. This house is located within a 5-minute walk to the lake. Heritage Lake community features new schools, a large lake with paddle boats, paved pathways, numerous parks, club house, pool, and splash park. PRICE DROP giving you a GREAT opportunity for a unique Murrieta property with RV parking, Barn, Steel Building..so much more! Located on over 4 acres, this property has all usable land and features a manufactured home with new paint and carpet, a very large barn with garage door and apartment on top floor, a large steel building, AND a large pad already carved out for whatever your heart desires. Situated just southeast of Murrieta old town, this fully fenced property can be used for horses, car collectors, you name it. The land has a natural slope and a fantastic well for your water needs. Properties like this do not come on the market often and you are only limited by your vision. The carved out pad would be perfect for a large home and you could convert the manufactured home to a 1440 SQFT pool home. There is a large deck just outside with a good size pool to soak in while you enjoy views for miles. The pad could also be perfect for a horse training ring or future storage building. The room above the barn is ideal for a family member or a renter to live in and enjoy. There are two septic tanks with one for the main home and one for the barn and emptying your RV after a trip. You will love the amount of space between buildings and all the opportunities this property offers. Enjoy city views from just about everywhere! Make an appointment and come see this property today! South Temecula Pool & Spa Redhawk Home with 5 bedrooms & 3 full baths on a desirable corner lot can now be yours! As you enter the home you will experience a feeling of openness and space with the tall cathedral ceilings in the living and dining rooms. Gather your family & friends in the large family room with fireplace that is open to the spacious kitchen with a great peninsula style island, as well as double ovens for all your cooking needs. Downstairs features 1 of the 3 full bathrooms, the laundry room as well as the 5th bedroom, which would be great as a guest room, office, play room or exercise room (closet space is currently built-in shelves and cabinets). Upstairs in the master suite you will find its bathroom has a soaking tub & walk-in shower, 2 sinks, walk-in closet and even a private balcony to enjoy the sunsets. Down the hall are 3 more bedrooms, one which is being used as an office/bonus room, and another full bathroom with 2 sinks. There's even a built-in desk and cabinets in the hall. Like to entertain? The private backyard has a pebble tech pool and spa and amazing detached patio cover with a built-in BBQ island so you can relax and create great memories or even just kick back and watch TV outside (TV included!). Need storage? The 3-Car garage comes with built-in cabinets and lots of overhead storage racks! Home also has approximately 52 Vivint Solar Panels with a power purchase transferable agreement! Save money on electricity! Welcome Home! Beautiful West Murrieta Copper Canyon home in a great family neighborhood with 4 bedrooms, 3 bathrooms plus an office. There is one bedroom on the main floor perfect for guests. This home is bright and airy with newer ceramic tile flooring throughout and newer carpet in the bedrooms and office. The home is bright and airy the kitchen is open to the family room, overlooks the backyard, offers granite counters, a large island and cabinets galore. The family room is spacious with built-ins and a cozy fireplace for those chilly winter nights. Enter the backyard and find the entertainers dream! A new custom outdoor kitchen with no details spared, a massive aluma wood patio cover, new stamped concrete and a built in fire pit. There is plenty of room for all of your friends and family. The 3 car tandem garage has epoxy flooring, new custom chocolate brown cabinets & plenty of space for all the toys. This home feeds into top rated schools and is in the desirable Cole Canyon elementary school boundaries. This home will not disappoint. Come take a look and fall in love! Honey stop the RV! !Yes this home has 45 FT RV Parking. Verde Mare is turnkey and ready for your family to movie in.This spacious 5 bedroom 4 1/2 bath is waiting for you. (Tax roll is incorrect). Enjoy the wonderful front porch enjoy your morning coffee.It has a beautiful custom screen door leading to the entry way. The casita or 5th bedroom or office also located at front of house, with its own entrance, bath, walk in closet. murphy bed & own heating & cooling system.. Beyond the entrance is the formal dining room with nook for you buffet. Across the dining room is double doors which open onto a wonderful court yard, what a great way area for extending your entertaining, enjoy a glass of wine or ready a book.. The kitchen offers a massive granite island, granite counter tops and backslash, double ovens, great size pantry and gas stove. Tons and tons of storage in this kitchen. The extra large family room is waiting for you to kick back and enjoy the gas fireplace and watch a movie with the family. Large 3 car tandem garage, w/expoixed floor. The backyard offers a large patio with alumawood patio cover w/ 2 ceiling fans, built in bbq and gas fire pit. professionally landscaped, & extra lrg 3 yr new spa, what a way to relax! Upstairs a master with retreat, walk in massive close pause 3 add'l bedrooms, one with own full bath perfect for guest/teneager. This home has so much to offer & I've run out of room to tell you don't miss this come see for yourself! LOOKING AT OFFERS. STANDARD NET SALE. LOW TAXES, NO HOA! OWNER AGENT. COMMUTER FRIENDLY LOCATION. OUTSTANDING SCHOOLS, QUIET PICTURESQUE HILLSIDE, PANORAMIC VIEWS. RESORT STYLE POOL HOME. Custom 3 inch shutters thru out. FIRM ON PRICE. Add up cost improvements in this home and COMPARE to home down the street that is over 400 sq. ft. smaller just sold for 480,000.00. This home is an incredible value has so much to offer: All new kitchen appliances, Newer richly restained cabs thru out, Newer custom 2 tone paint inside and out, Newer landscaping, newer routed drains on side yard, new pool heater, newer light fixtures, new toilets, newer ceiling fans thru out, newly rebuilt deck off master, newer AC unit, new slider door and 3 brand new low e windows in 3 bedrooms in the last year. Outstanding schools, shopping, restaurants and entertainment all close by. This is a very pretty home, in a premier location. Beautiful 2 story Morningstar Ranch Home with everything you need. This Home has a sensible open floor plan. The Kitchen has a center island with space for seating as a breakfast counter/bar plus an eat-in dining area and opens to a Large Family Room with a Cozy Fireplace, Perfect for Entertaining. There is a Downstairs Guest Quarters with a Private Bath. Another Office/Bedroom is also located on the bottom floor. Upstairs you have 2 Large Bedrooms with a Jack & Jill Bathroom. An additional teen bedroom is on one side, with the Master Suite with Walk-in Closet on the other. A Large Loft/Playroom separates the bedrooms. Outside you are surrounded by a 12,632 SQFT Lot with your own Private Pool, Patio, Enclosed. Garden and RV Parking. Low HOA & the award-winning Temecula School District. Quick and easy access to the 15 and 215 through Clinton Keith. Remodeled, Gorgeous & Ready for its New Owner! Walking into this home feels like walking into a brand new home. Recent exterior new paint is like the cherry on top! This Spacious 4 Bedroom (1 downstairs) 3 Bathroom home has been redone inside & out! Completely new kitchen with new cabinets, new quartz counter tops, new stainless steel appliances! Yay! All new easy to care for wood-like vinyl flooring downstairs as well as in every bathroom & in the laundry room, all new carpet upstairs, new paint throughout, new sinks & quartz counter tops in every bathroom plus new sink faucet fixtures, new toilets, new lighting fixtures and new blinds. Gather your friends and family in the huge upstairs bonus room or spend some private time in the special retreat off of the master which would be great as an office, exercise room or nursery. 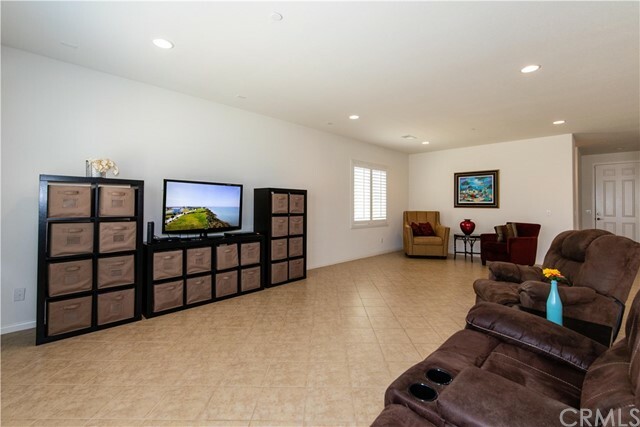 Located in the beautiful community within The Golf Club at Rancho California with NO HOA, this home has a pool-size backyard with new sod facing a Golf Course, so you don't have another house facing your backyard and instead have wide open space to look at. The garage has 556+/- square feet and is considered a large oversized 2-car garage with space for a workshop and storage. Conveniently located in Murrieta, one of the safest cities in the country with high ranking schools, just minutes from shopping, including Temecula's Promenade Mall, and minutes from Temecula's wineries and Pechanga Casino. Welcome Home! Price reduced! Must see inside this lovely home located in Crown Hill community. This beautiful home was former model home which is formal living and dining rooms, family room open to the kitchen with eating area. Granite counter top and island with sink, a lot of upgraded cabinet , pantry, built in desk. The master suite has large walk in closet, dual sinks and separate bath tub and shower. Ceiling fan in master bedroom and family room. An upstairs loft and laundry room with sink , cabinets. Wood flooring living room, neutral tile in kitchen. Close to wine country, restaurant, shopping and award wining Temecula Valley School. STUNNING Murrieta pool home located on a cul-de-sac with views of the pond and the 10th hole on the golf course. 4 bedrooms, 3 full bathrooms, a large family room, and a kitchen right off the formal dining room. Granite counter tops, stainless steel appliances, gas/wood fireplace, and many more upgrades. 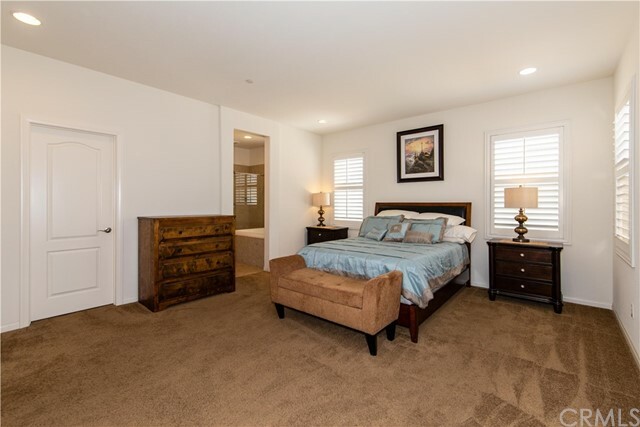 Private large master bedroom with a walk-in closet, dual sinks, separate tub, and shower. Private guest bedroom or office. 2 other bedrooms with a jack and Jill bathroom adjoining them. Great for kids. Large size laundry and an attached 2 car garage. If you like golf, this house is situated on one of the best golf courses in the area. Nice size backyard surrounded by new privacy fence, which includes a pool, and a oversized spa with a stand-up area. Great for entertaining or just relax. Conveniently located and an easy access to the shopping mall, restaurants, Temecula’s wine country, and wonderful Murrieta schools. You must see!!! Own this beautiful Five Bedroom, Three Full Bathroom Home in the neighborhood of Central Murrieta. Extra downstairs bonus room. Close to Schools, Parks and freeways. Home has been well taken care of. Open floor plan with room to grow!Large Master Suite, upgraded Master Bathroom, Large Kitchen for entertaining.Upstairs loft with upgraded flooring. Large Backyard, Desertscaped Front Yard. No HOA! Lots developing around the area. This is a must see! *SAVE THOUSANDS PER YEAR WITH PAID OFF SOLAR (41 panels)-RV PARKING-POOL & Spa! Welcome home! This gorgeous 5bd, 3ba home plus office is absolutely turn key and offers over $60,000 in recent upgrades including new wood look tile flooring throughout the entire downstairs, fresh paint inside and out, new carpet, updated kitchen cabinets with granite counters, updated bathrooms, plantation shutters, new HVAC, newer pool equipment, patio cover, vinyl fence around the entire backyard, and custom exterior doors with custom invisible screen doors. 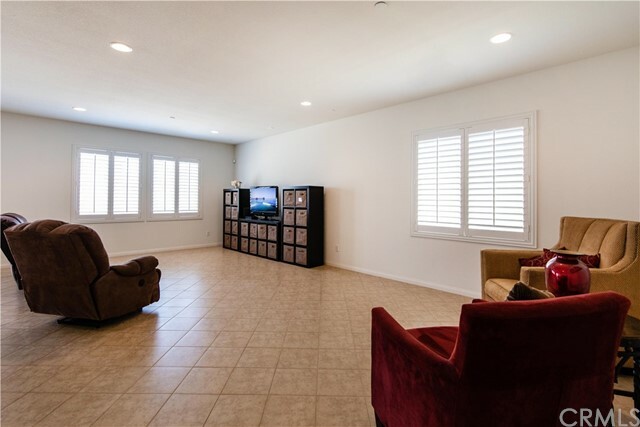 This home is located in a quiet family neighborhood close to schools, parks and the 15 fwy. Enjoy very low taxes and NO hoa. The floor plan is open with tons of natural light & tall ceilings. There are two fireplaces one in the family room and one in the master bedroom. The kitchen is open to the family room, overlooks the backyard & offers tons of counter space which is perfect for the home chef & entertaining. There is a one bedroom downstairs. The three car garage has plenty of room for all your toys and you will love having your own gated rv/boat parking on the side of the house. Drought tolerant landscaping is easy to maintain. Come take a look and fall in love! WELCOME TO THIS BEAUTY IN WINCHESTER. THIS HOME HAS WHAT BUYERS WANT. 4 BEDROOMS, PLUS OFFICE, COULD BE 5TH, PLUS RETREAT! ENTER INTO THIS SPACIOUS GRAND LIVING AREA FILLED WITH NATURAL LIGHT, YOU'LL SEE A GOURMET GRANITE KITCHEN WITH SPACIOUS ISLAND, EAT-IT AREA, AND EXPANSIVE WALL TO WALL PANTRY, AND SEPARATE DINING AREA. YOU'LL BE ABLE TO ENJOY COZY NIGHTS NEXT TO YOUR FIREPLACE AND LARGE BUILT-IN MEDIA NICHE. DOWNSTAIRS IN ALSO COMPLETE WITH A SEPARATE LAUNDRY ROOM WITH LOTS OF STORAGE AND A SINK. TWO ROOMS DOWNSTAIRS!! 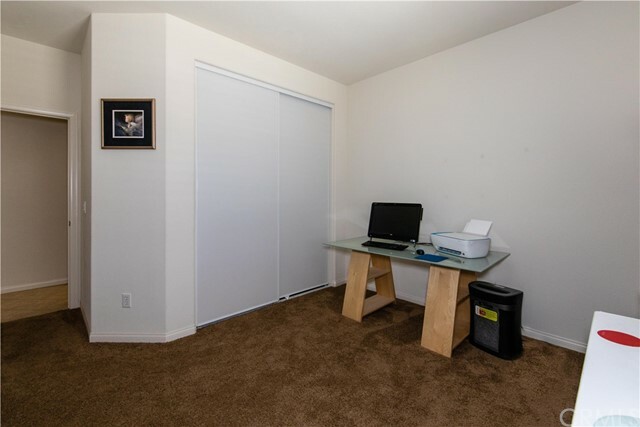 ONE BEDROOM AND ONE OFFICE/DEN/FLEX WHATEVER ROOM FOR YOUR NEEDS. UPSTAIRS YOU'LL FIND A GRAND MASTER SUITE WITH DOUBLE GLASS DOORS TO YOUR PRIVATE BALCONY TO ENJOY. MASTER BATH IS COMPLETE WITH DUAL SINKS, SUNKEN TUB, SEPARATE SHOWER, WALK-IN CLOSET AND ANOTHER BONUS/RETREAT/OFFICE ROOM WOW! UPSTAIRS BEDROOMS ARE GENEROUS IN SIZE AND ANOTHER GRANITE BATHROOM WITH DUAL SINKS. OUTDOORS YOU'LL FIND A POOL SIZED YARD, AND COVERED PATIO AREA WITH NO ONE BEHIND YOU! ATTACHED 3 CAR GARAGE WITH AN EXTRA LONG DRIVEWAY TO PARK 4+ CARS! CONVENIENTLY LOCATED TO SHOPPING, SCHOOLS, PARK, POPULAR TEMECULA WINERIES, PECHANGA CASINO AND OLD TOWN TEMECULA! LOCATION, LOCATION, LOCATION. THIS SINGLE LEVEL HOME IS ON A CORNER LOT WITH NO ONE BEHIND IT, JUST A POND AREA AND VIEW OF GOLF COURSE. IT HAS A SUN ROOM WITH DUAL PANE WINDOWS, SCREENS, FANS TO COOL OF IN THE EVENING AND SAVE ON AIR CONDITIONING. DESIGNER PAINT IN THE LIVING AREAS IS IN A SOOTHING SAGE GREEN WITH CROWN MOLDING IN EVERY ROOM AND HALLWAY. THE FRONT AND BACK YARDS ARE LOW MAINTENANCE WITH NO GRASS TO MOW. THERE IS A NATURAL ROCK WATERFALL IN THE BACK WITH BBQ ISLAND AND MATURE TREES, AND A MANUFACTURED WATERFALL IN THE FRONT. THE GARAGE HAS DIRECT ACCESS AND HAS STORAGE CABINETS PLUS A DESK AREA. THIS HOME IS A MUST! This two story, modern home has 5 bedrooms, and 4 full bathrooms. Four full spacious rooms upstairs, and one bedroom downstairs and a full bathroom. As you enter the welcoming front access, you will see a spacious living room and a separate formal dining room which lead to the family room and kitchen. The kitchen has granite counter tops and island, and has plenty of cabinet space. Family room has fireplace and is huge enough for a growing family! Upstairs is a nice roomy loft. Long driveway..
You're going to love this home! NO HOA, LOW Taxes and MURRIETA SCHOOL DISTRICT. Welcome to this beautiful 4 bedroom 3 bath spa home! This home lives like a singe story, 3 of the 4 bedrooms are on the main floor, INCLUDING A DOWNSTAIRS MASTER. There is a 2nd master suite upstairs with a full bath, deck and a nice view. The entry is gorgeous from the leaded glass door to the soaring ceilings, tile floors and niches for artwork. There is a formal living and dining in the front area of home that features custom paint, lighting and décor. Family room and kitchen are open concept, lots of natural light, soaring ceiling, breakfast bar, fireplace and REAL WOOD floors. Master suite has REAL WOOD flooring, view of tropical back yard, large walk-in lighted mirrored closet, duel sinks, shower & separate soaking tub. Laundry room is also downstairs. There's lots of room in the 3 car garage. New heater. Backyard has fruit trees and many exotic plants. The patio is oversized with a cover and a gazebo covered hot tub. Directly across from the home is a beautiful park. This home is turnkey and immaculate! NO HOA, LOW Taxes and MURRIETA SCHOOL DISTRICT. 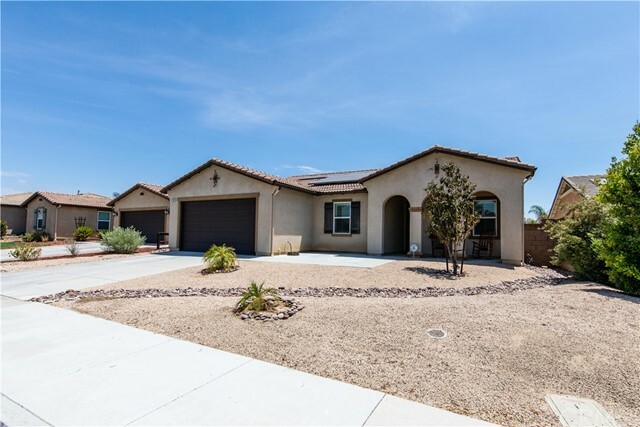 Fabulous 4 bedroom 3 bath home in upscale neighborhood in Central Murietta. This bright and breezy home has a open floorplan concept with vaulted ceilings and designer finishes. The kitchen has newly installed quartz countertops and stainless steel appliances. Enjoy the comfort of fireplaces in both the family room off the kitchen and also in formal living room. New laminate floor throughout the entire first level. The bathrooms have recently been upgraded with new countertops. Upgraded Pool and spa with heating system and indoor electronic control panel. Award Winning school district! Wonderful Murrieta home in a desirable area close to award winning schools. Offering 2492sf with 4 bedrooms, 2.5 bathrooms, family room, separate living room, large bonus room and a 3 car garage. There is a laundry room located on the first level as well as upstairs. The yard is spacious and perfect for summer bbq's and family gatherings. With no hoa and very low taxes this home is a must see! Call today for more information. This Delightful Turnkey home features a first floor GRANNY FLAT-FLEX SPACE type of Guest Suite, with a Bedroom/Bath & Living area/Kitchenette. Perfect for Mom, College Student or other Family Member. There are Three additional Roomy Bedrooms upstairs(one is being used as an office now) The Kitchen has been updated and upgraded with Wood Look Ceramic Tile counter tops, backsplash, black crushed granite sink and updated GE appliances. Custom Paint makes the kitchen light and bright. There is a cozy fireplace in the family room right off the kitchen( could also be a dining room if you like) The more formal living/dining room areas feature a beautiful chandelier and have cathedral ceilings and are at the foot of the nice wide stairway to the upstairs bedrooms. Two car garage has shelving, and laundry area is inside the home. This is a LARGE VIEW LOT with a PANORAMIC VIEW to the West. There is a large well built 10x10 foot shed in the side/back yard for use as Potting Shed/Playhouse or for Storage. The lot is over 8,276 square feet, flat and all useable and backs to open space. You will love the large green grassy park just down the street and the other amenities Central Murrieta has to offer. Very Low Tax area/no HOA fees. Come see what Murrieta has to offer for Family of all ages. Beautiful move in ready, well priced, TURNKEY GORGEOUS 2 story home in a great neighborhood! Newly renovated with gorgeous flooring, and neutral paint tones to make decorating a breeze! Upgraded kitchen features stainless steel appliances, granite counters, custom cabinets, and a center island with breakfast bar. Handsome brick fireplace in the family room will surely keep the brisk winter nights at bay! The layout upstairs boast of Master Bedroom and Bathroom, two spacious bedrooms, an additional full bathrooms and a HUGE Loft / Man Cave, one of the biggest lofts I've seen this year. Bedrooms upstairs have new plush carpeting, new lighting or ceiling fans and custom fresh paint. Master includes a walk in closet, and an adjoining spa like bath. Downstairs, be graced by the flooring, painting and upgrades exhibit remarkable modesty decorum and floorplan. Within the doors of the lowest level, the property brags of formal living and dinning room entry, a family room overseen by a pristinely remolded kitchen, adjacent to the additional room that could twin as a bedroom, den or office, your choice, and a full 3/4 bathroom which is always a must downstairs. Serene backyard has a refurbished refinished pergola style covered patio, and lush green grass. There are 2 community pools. This home is ready and waiting for you! You will feel at home. Beautiful Tuscany Hills home with stunning panoramic views of Canyon Lake, surrounding hills and vistas as far as you can see. Easy yard maintenance with rock waterfall, lighting and a built in BBQ with prep area. Large deck with staircase to access from back yard, great for gathering with friends and family to enjoy majestic views and fourth of July fireworks. This home is located near the end of a wide cul-de-sac street. Inside has new tile flooring downstairs, kitchen has granite counters with large island and large window above sink looking out at the view beyond. The family room is huge with a nice open floor plan from the kitchen. Family room is large enough to easily make a 5th bedroom and still have a nice size family room. Formal dining room and living room, bath and laundry complete the downstairs. Upstairs 4 large bedrooms, master bedroom with slider that opens to the large deck to enjoy the endless panoramic and Canyon Lake views. 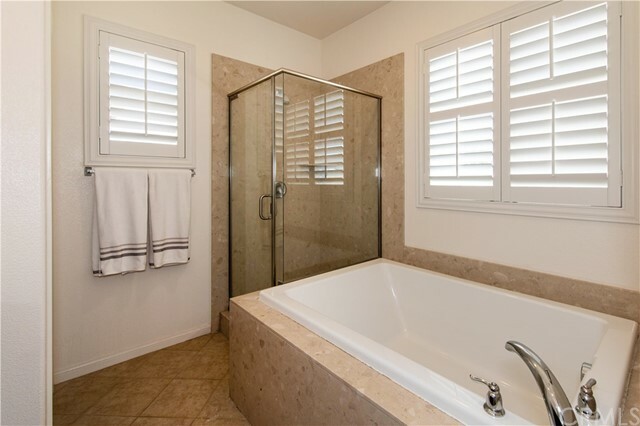 Master bath is large with separate shower and large bathing tub, two large his and her walk in closets. The Tuscany Hills clubhouse is truly resort style with all the amenities needed for all the family to enjoy. Location, Location, Location... This beautiful two story Mapleton home is in a prime location. The property is walking distance to newly state of the art Kaiser Permanente. The home has 2,585 sq ft of living space (4 bedroom, 3 full baths; with one room and bathroom downstairs) and 6,098 sq ft lot. This home features an open entry leading to the formal living room and dining room. The dining room has access to butler area and kitchen. The kitchen has ample cabinets, cabinet pantry, stainless steel appliances with black trims, corian counter top, recess lighting and large nook overlooking backyard. Adjacent to the kitchen is an office area next to laundry room leading to 2 car-garage. The 2nd floor overlooks the entry way allowing an open feel and natural light from the large windows upstairs leading to a medium-sized loft that separates the master bedroom / bathroom from the other 2 bedrooms and the shared bathroom. The house is fully landscaped. Total of 3 car garage, the two-car garage has access to the kitchen & laundry room and 1 car garage has access to the room downstairs. 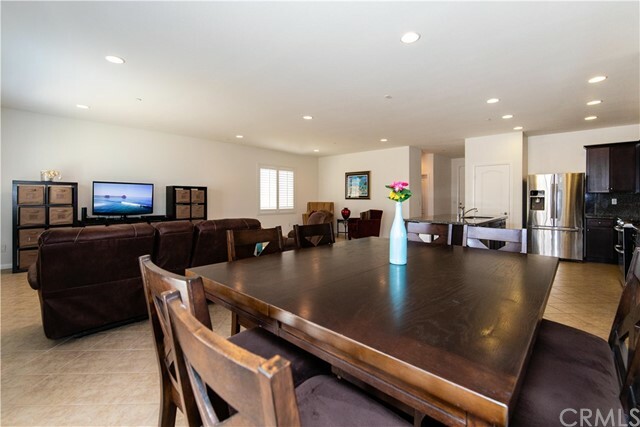 This home is walking distance from the local elementary school and minutes away from shopping centers, 215 freeway, Mt Jacinto college, Loma Linda Hospital, Pechanga Casino, Temecula Wineries. OH BY THE WAY THERE IS NO HOA, COME OUT AND TAKE A LOOK! Beautiful Murrieta home located on a prime corner lot with potential RV/boat parking. This spacious home boasts 2886sf with 4 bedrooms, 3 1/4 baths and an open and extremely functional floor plan. As you enter you will be greeted with gorgeous wood lament flooring and high ceilings. On the main level you will find one bedroom plus a full bath and an additional 1/4 guest bath, living room and great room with a fireplace. The kitchen offers a massive amount of counter space, stainless steel appliances, cabinets galore and corian counters. Upstairs you will find 3 bedrooms, 2 full bathrooms, the laundry room and a huge loft. The master bedroom has his and hers closets, a large soaking tub and a balcony overlooking the low maintenance backyard. The backyard is spacious with plenty of room for the kids to play, family bbq's or even a swimming pool. This home feeds into Murrieta's award winning schools. Take a look and fall in love! This one will not last! Reduced Price -- BEAUTIFUL UPGRADED GOLF COURSE HOME. 2 BR + DEN, 2.5 BATHS. MASTER SUITE & everything you need is DOWNSTAIRS, leaving the upper level as a private retreat for guests or caretaker. RECENT UPGRADES to the ISLAND KITCHEN include GRANITE COUNTERS, STAINLESS STEEL APPLIANCES, UPDATED CABINETS & SPECTACULAR SPLASH. Flooring is WOOD & TILE downstairs with carpet upstairs. 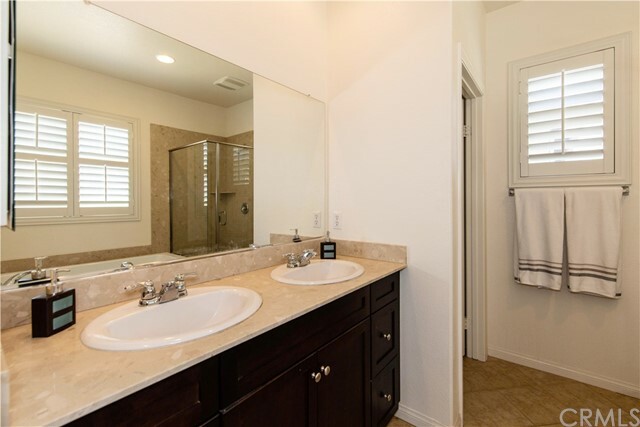 MASTER BATH boasts a GORGEOUS UPDATED SHOWER, DUAL SINKS, WALK-IN CLOSET + a wall closet. The home has a formal living & dining plus a family room, eating nook & extra half bath. Upstairs has a loft/den with built-ins & a private bedroom & bath. An IMPRESSIVE TILED ENTRY COURTYARD welcomes you to the home & you will love relaxing on your ALUMAWOOD type covered patio as you enjoy SERENE VIEWS of the GOLF COURSE greens & a stream below. Brilliant stained glass windows over staircase. Indoor laundry room. Exterior recently painted & newish water heater. Garage has FINISHED FLOOR, BUILT-IN STORAGE & room for your golf cart. Quiet cul-de-sac location. The Colony is a GUARD GATED 55+ community with a spectacular clubhouse, pool, 2 spas, lighted tennis & paddle tennis, hair salon, library & more. ACTIVITIES include cards, shows, trips, movies, concerts, & groups for every interest. Privately owned 18 hole GOLF COURSE is inside the gate. HOA waters & maintains all front yards. 24 HOUR SECURITY patrol. CALL TODAY to see this BEAUTIFUL HOME & enjoy true RESORT STYLE SENIOR LIVING. 18.93 Acres of Gentle Horse property with a Panoramic view over Conservation Property and Cleveland National Forest. Estate neighborhood, with access to open lands. Secluded yet Upscale. Property has Oak trees and gentle developable land as well. Paved Road, Electricity available, Water District, and Septic area.. County of Riverside. Murrieta services. This property has been on the market at a MUCH higher price. Time to buy it is now. Per Rancho Water District the per ace assessment fees have been paid in full for this property. Looking for a Beautiful single story with low taxes? Look no further, this is the one for you! 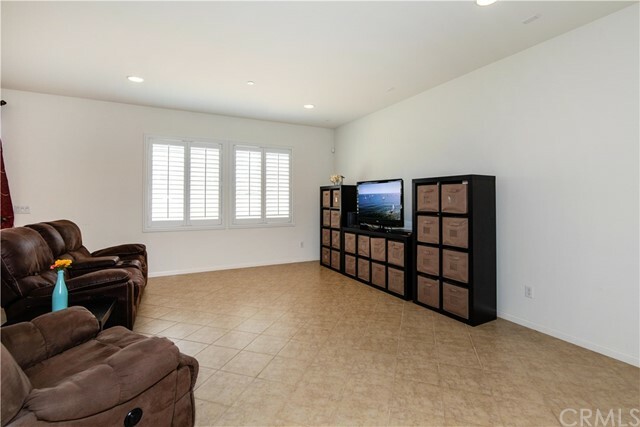 Beautiful Single Story in the heart of Murrieta with vaulted ceilings and open floor plan. This home has 3 large bedrooms, 2 bathrooms, living room, formal dining room, large family room w/a cozy fireplace that’s open to the kitchen. The kitchen has quartz counter tops, stainless steel cook top, 2 ovens, breakfast nook, counter bar, new garbage disposal, and tile floors. The hallway bathroom has been updated with tile floors, quartz counters, dual sinks and a beautiful full back splash. The master bathroom has a separate soaking tub, walk-in shower w/ glass doors, quartz counters, dual sinks, and tile floors. The windows in the home have been updated as well as a newer HVAC system, and new water heater. The large backyard has a patio that runs the length of the back of the home with beautiful views of the Santa Rosa Plateau. Look no further as this home is in move in condition with low taxes, low HOA, close to shopping centers, and freeway access. Stop by and take a look, this home will not disappoint! Back on market! Newly upgraded with laminate flooring, turn key , ready to move in, affordable and cozy home awaits for you! Single story home that is full of light with open floor plan will keep you happy day after day! Your home has beautiful combo of tile, laminate and carpet floors, granite counter tops and modern appliances in the kitchen. Plantation shatters in every room of the house, solar system, tank-less water heater makes your home extremely energy efficient! Knowing that your are within walking distance from play ground and 5 min drive to superior Murrieta schools, makes it wonderful place to raise a family! With questions and to make showing appointment please call listing agent. VA/FHA APPROVED !!!!!! THIS IS THE ONE - This Lake Pointe Residence Features three bedrooms, two and a half bathrooms. 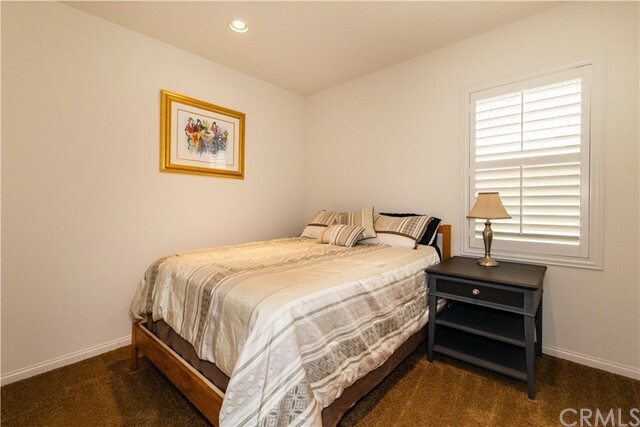 Large master bedroom and bath oversized shower and spacious walk-in closet. The kitchen offers granite countertops with six-inch backsplash, beautiful cabinetry and stainless-steel appliances. The open concept living room is large and spacious with tons of windows. The amazing community park, pool, spa and lake views make this a great place to call home. CALL FOR SHOWING TODAY! Back on the market!!! Priced to sell! Great home in a desirable South Temecula family neighborhood in the Great Oak High School boundary. Offering 2068sf, 4bd plus office/5th bedroom, 3 bathroom with possible double rv parking. This spacious home has a nice floor plan with a living room with a fireplace perfect for those chilly winter nights, kitchen with large windows overlooking the backyard with multiple fruit trees. The kitchen has a newer 4 burner gas Frigidaire stove (2 years) and is open to the family room. The bedrooms are all spacious. Bring your paintbrush & imagination this home home has tons of potential. Hurry it won't last at this price. Fabulous home in the highly sought after 55+ gated community of the Colony! This well maintained home boasts 3 bedrooms, and 2.5 bathrooms. 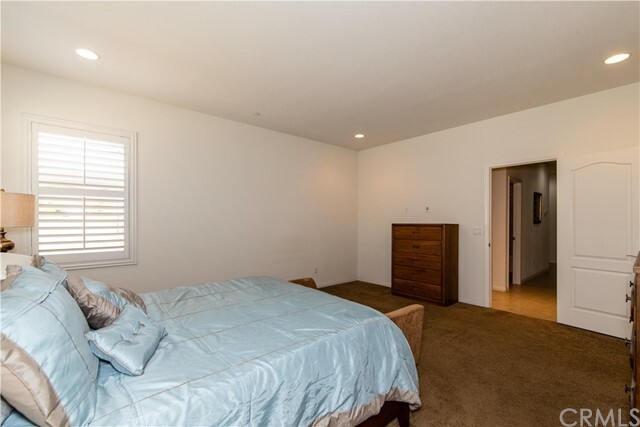 The master bedroom is conveniently located on the first floor. Two additional bedrooms are located on the second floor. As you enter the home, you are greeted with a soaring ceiling, and open floor plan. There is new luxury vinyl planking throughout the entire first floor, new carpeting on the second floor, along with new baseboards throughout, and fresh paint throughout. Four sliding doors provide easy access to back and side yards. Perfect for entertaining, or just relaxing in the tranquility with your favorite beverage. There is a community club house, pool, hot tub, shuffle board, and tennis courts. Must see to appreciate! Absolutely stunning 4.42 acre lot in the heart of beautiful Temecula Valley Wine Country. Enjoy panoramic views of vineyards, mountains, and valleys. Property is approximately 1/2 mile from South Coast Winery Resort and Spa. You will be treated to beautiful sunrises, sunsets, colorful hot air balloons, and enjoy the peace and tranquility of a rural atmosphere. Water meter (1"), and electric on property, percolation test complete, and telephone at the street. Temecula offers major attractions such as Historic Old Town Temecula, Pechanga Resort, Casino, Golf Course, and RV Resort, 35+ wineries, and a highly rated school system. You are a few minutes from major retail and freeway access. Major southern California attractions include: Disneyland, Universal Studios, Magic Mountain, Knott's Berry Farm, LEGOLAND, and Sea World. Snow skiing and snow boarding in the mountains, or camping in the desert are within a couple hours drive. Las Vegas is about four hours up the I-15 freeway. Excellent community to live and raise a family. Click on supplements for detailed information on the Wine Country development plan. This property is located in the Wine Country Residential District (WC-R). 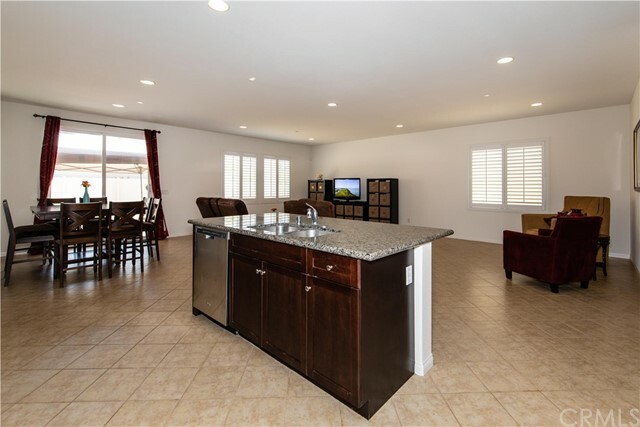 Wow, look at the pictures its a totally upgraded & updated Single Story Home in Starlight Ridge Community Central Temecula. Home sits on elevated lot. The newly landscaped front yard has over 60 drought tolerant plants. This home has been completely re-modeled with Dual Payne windows, Dual pane French Doors in Living room with sidelights, Natural Hardwood Flooring, diamond design ceramic tile, ceiling fans,crown molding, and door trim. Kitchen has granite, custom built cabinets, whirlpool dishwasher,refrigerator and oven with convection & stainless steel sink. There is a 43X24' deck in back yard, along with gazebo, side and rear patio covers, dog run, trees and garden area. This Single Story home close to Wine Country. Perfect for First Time buyer or Downsizing. Low taxes, Low Hoa. POSSIBLE to make RV PARKING at side yard. 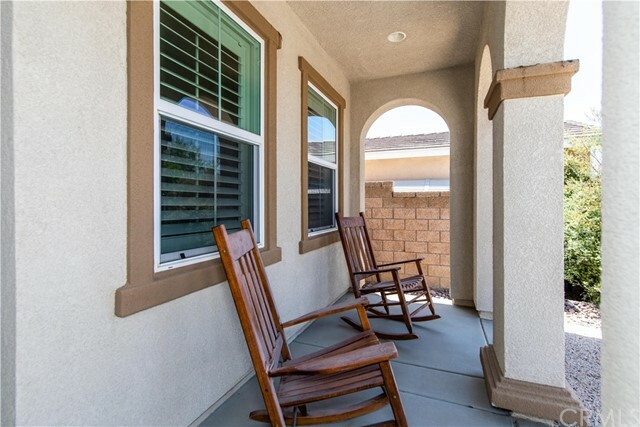 The garage has extensive built-in shelving and cabinets, plastered and painted walls and upgraded door, with auto-opener. . Come to Temecula and enjoy all we have to offer, from Charming Old town to Peaceful Wine Country. Fishing, Hiking, Biking, golf and Casino action. The good life is affordable in this sweet home. Move in ready! Located in a Low Tax and No HOA community of Menifee!! This home features 4 bedrooms + office/bonus room and 3 bathrooms. The formal living room has vaulted ceiling that brings in tons of natural sun light to brighten the living space. Property has separate family room with fireplace is connected to the large open kitchen and a bonus room could be a 5th bedroom plus 1 full bath down. The upstairs offering a huge master bedroom with walk in closet, dual sinks, separate shower and soaking tub. Three good sized guest bedrooms and a large full bath with dual sinks. Interior new paint. Low maintenance landscape. Close to freeway, Mt. San Jacinto College, restaurants and shopping. Must see!!! Situated in the HEART of Murrieta with NO HOA you'll find this charming three bedroom, two bath, single story home. This home is located close to all and in walking distance of shopping, schools, dining, freeways, etc. This large lot can accompany a pool and spa. Painted in custom colors this home shows beautifully. Thank you in advance for showing. Horse Property! Country living has a lot to offer while still having all the amenities of living near the city. Custom built single story 4-bedroom, 2.5 bath home sits on over a 1/2 acre of completely usable land. Bring your horses, trucks, RV’s, boats, dirt bikes and ATV’s there's plenty of room for all. Open floor plan, granite counters, tile flooring in living areas, carpet in bedrooms, Master has laminate flooring and Jacuzzi tub and a walk-in closet, 4 large bedrooms includes 2 master bedrooms both with their own bathrooms and porch access, fireplace in living room. Separate living & dining room. The 2-car garage has a multi-functional sink that could be utilize for pet grooming. Very quiet neighborhood. Close to Kabian Park which has horse trails, 8 miles from Menifee Marketplace dining and shopping. Centered between the 215 & 15 freeway. The exterior has been freshly painted. It also has a 10x10 storage shed. 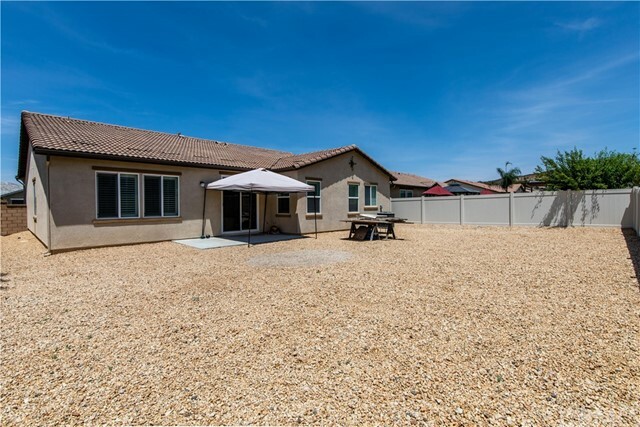 This home is in a quiet rural area of Menifee. Welcome Home! 5bd, 3ba home with 2,000sf in Lake Elsinore on a quiet cul-de-sac. This wonderful home has an extremely functional floor plan offering a living room and family room plus a formal dining area with one bedroom downstairs and four up. As you enter the home you will be greeted with high ceilings, fresh neutral paint, new carpet and an abundance of natural light. The family room is adjacent the kitchen and has a fireplace perfect for those chilly nights. The kitchen and all three bathrooms have beautiful travertine flooring. 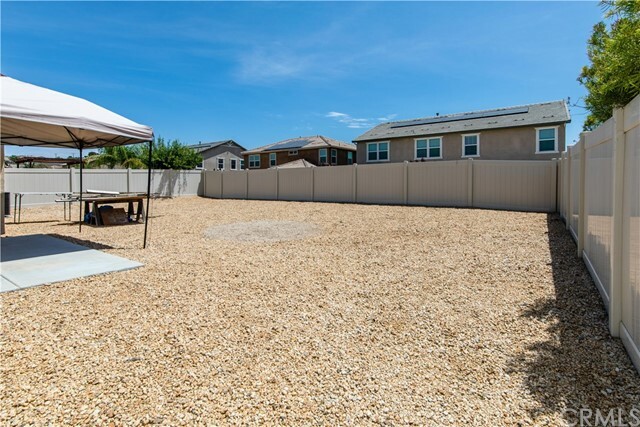 The backyard is spacious and has the potential to park a boat or rv. This is a great home with NO HOA and very low taxes. Take a look and fall in love!!! BEAUTIFUL EXECUTIVE HOME AVAILABLE IN THE HIGHLY DESIRABLE LAKE RIDGE ESTATES. Subject property has a huge, flat 14,374 s.f. site with RV access and plenty of room for all your toys!!!!!!!!!!!!. Over $50,000 in upgrades and a inground pool/spa, new Trane AC Unit, exterior/interior painting and landscaping were all completed within the previous 9 years. Interior features include ceramic tile floors in entry, kitchen and bathrooms. Upgrade quality carpeting in both levels, vaulted ceilings, built-in book shelves, double sink vanities, mirrored wardrobe doors, canned lighting, ceiling fans, separate shower and tub in master bath, fireplace in family room. Exterior features include deck off master bedroom, large custom pool and spa with extensive concrete decking, 6' concrete block perimeter wall along sides and rear yard. Three car garage has built-in shelving and electronic garage door opener. professional landscaping in both front and rear yard areas with mature lawn, shrubs and trees. the subject property is situated within close proximity to schools, recreational facilities, shopping, business and freeways. from low tax rate to low HOA fees, from stable neighborhood to good schools, this is where you want to live! Priced to sell clean & turnkey end-unit home that provides the quiet privacy and feel of a single family residence! Well situated amidst lush, manicured grounds with plenty of guest parking nearby, the home features sunlit freshly painted interiors and brand new carpet. Its comfortable and optimally designed floor plan has a convenient main level bedroom/office, living room with fireplace & media niche, kitchen with new microwave, breakfast bar and dining area with sliding glass doors leading to an extra large wrap-around rear-to-side patio perfect for outdoor entertaining. Upstairs, the master suite with walk-in closet and bath with double vanities, tub/shower, and two secondary bedrooms sharing a hall bath, plus a study nook with built-in desk, round out the comfortable accommodations for family and guests. 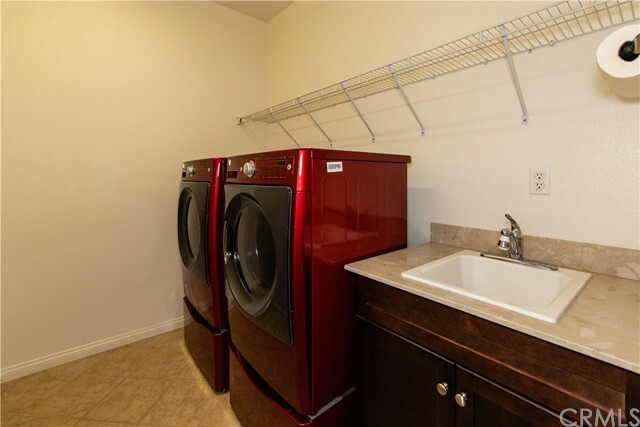 A laundry room and direct access to a 2-car garage are well-planned amenities. Just steps away through landscaped pathways, is the controlled-access swimming pool and spa exclusively for the Villas' residents. Conveniently located desirable gated community of Villas Old School House is just moments away to elementary (.5 mi. ), middle (.8 mi) and high (1.4 mi.) schools, restaurants & shopping, including Temecula's Promenade Mall (2 mi. ), plus fast and easy access (1.5 mi.) to I-15 and 215 freeways. This is where you'll want to live!!! GORGEOUS third-story 2 bedrooms/2 bathroom unit in the Gated LATITUDE Community! LIGHT AND BRIGHT corner unit offers SPACIOUS bedrooms and living room. BRAND NEW paint and carpet make this home ready to move in. 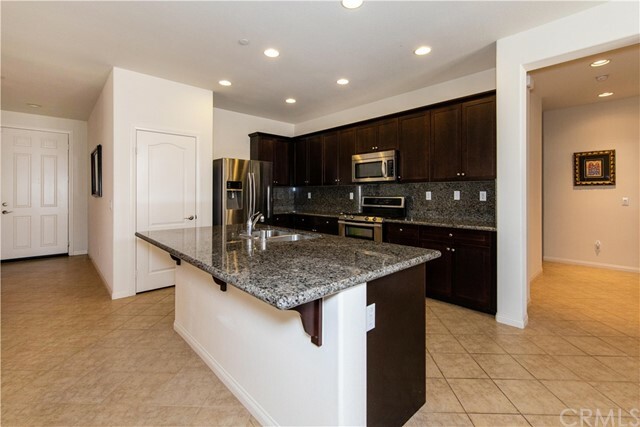 BEAUTIFUL granite countertops (in the kitchen and bathrooms) and stainless appliances! Centrally located in Fairmont Park. Easy access to I-15 and Hwy 94. LOW taxes! You won't want to miss this one! Charming home with gorgeous mountain views and RV parking plus workshop/craft room/studio/man cave/bonus room/granny flat! This perfect home offers you 3 spacious bedrooms, 2 ¾ bathrooms, two bedrooms have their own bathrooms, HUGE living room with vaulted ceilings, formal dining room with built-in cabinets and china hutch, breakfast nook that’s open to the kitchen, HUGE laundry room with lots of built-in cabinets for lots of storage & sink. The exterior offers you 2 car garage and a studio/craft room/workshop/man cave/bonus room, new sod on the side yard complete with automatic sprinklers, 2 freshly painted storage sheds, fully fenced, and water & electric hookups for an RV. This home has so much to offer, come by and take a look! Pride of ownership is seen throughout this super clean view home in the highly sought after gated city of Canyon Lake! This spotless beautiful home features 3 bedroom and 2 full baths. The upgraded kitchen has granite counter tops with stainless steel appliances. Some of the many amenities include, plantation shutters, ceiling fans, an attached sun room measuring (approx. 550 sq. 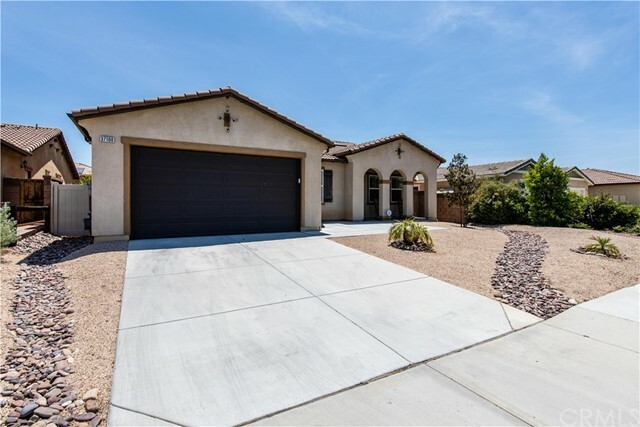 ft) with endless possibilities has large open windows with canyon and hills views, 2 car attached garage with direct access; covered patio with ceiling fan; central a/c; upgraded 200 amp electrical panel, plus RV/boat parking!!! Community amenities include an 18 hole golf course, equestrian center, over a dozen parks and beaches, a clubhouse with restaurant & bar, tennis courts, swimming pools, picnic areas and boat marina.You simply will not find a cleaner home for this price!! Newly remodeled 3 bedroom 2 bath home on a little over half acre of usable land. If you want or need some extra room this might be the one! Plenty of space for RV parking, heavy equipment storage or a small hobby farm. The remodel was just completed and includes a new kitchen with granite counters, upgraded sink master bath vanity, laminate floors throughout, fresh paint inside and out, and much more. There is also a extra large detached garage. Located just within 5 minutes to the 15 freeway. Do not delay as this property will not last long. Beautiful 3 bedroom 2 1/2 bath home with 1782 square feet in a quiet West Hemet neighborhood with your own private enclosed backyard spa ! No HOA or Mello Roos! Lots of upgrades! The tile entry leads you into the formal living room and dining room area. The separate family room features a raised hearth fireplace, ceiling fan and slider door to the backyard. The upgraded kitchen has Silestone countertops (which is like Quartz), hardwood cabinets, a large island/breakfast bar, freestanding gas stove, microwave dishwasher, tile floor and a walk in pantry! There’s a Butler’s Pantry area off the kitchen PLUS a 1/2 bath with tile floor and a pedestal sink. The spacious and vaulted master suite has a walk in closet, ceiling fan, huge shower and a dual sink vanity! The hall bath has a tub/shower combo unit. The other two upstairs bedrooms are very nice. The laundry room is also conveniently located upstairs. The backyard has your own private above ground spa in a completely enclosed room! You can use it in any weather! There is an oversized, gated, backyard RV parking area and LOADS of extra concrete all around. PLUS, three outdoor sheds stay, lots of storage area. 3 car garage with roll up doors and an auto opener. Auto sprinklers front and rear. Almost new vinyl fencing all around the backyard. A/C is only 3 years old. Close to schools and shopping, this is the perfect family room! Amazing 3 bedroom 2 bathroom single story West Hemet home located in Stoney Mountain Ranch exhibiting perfectly manicured landscaping, RV or boat parking with security gate, recessed lighting, master retreat with gas fireplace, and stainless steel appliances to name a few. Nestled in the foothills, this fabulous home has a 2 car garage and is situated on a huge 8276 sf lot with panoramic views of the mountains and surrounding neighborhood. As you enter into the foyer, you'll notice the open floor plan and fresh paint throughout this well laid out home. A custom decorative gas fireplace mantle is in the middle of the spacious living room that opens up into the formal dining room and eat in kitchen where you'll find stainless steel appliances, caramel colored wooden cabinets, tile counters, and recessed lighting. 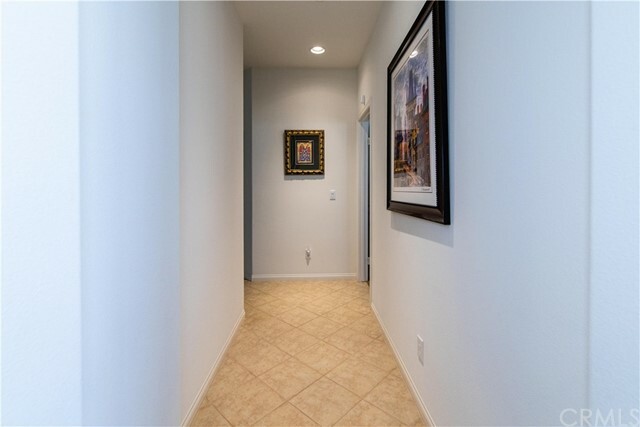 There is a hallway to the left of the entrance that leads to where all the rooms are located including the laundry room with utility sink and ample cabinets for storage. The huge master retreat features a decorative gas fireplace, cathedral ceilings, walk in closet and access to the rear covered concrete patio via sliding glass doors. The master bathroom has dual sinks, walk in shower, soaking tub, tile floors, and privacy door. Out in the backyard, there is luscious green landscaping and shrubbery lining the perimeter of the rear wood fence. This home boast privacy and entertainment. Charming home great starter or great for an investor. Newer neighborhood Fresh paint and in great shape. Nice size yard as well Dont miss out! Casa Bella condo located in a quiet French valley neighborhood featuring three bedrooms and 2 1/2 bath. Bright and airy floor plan. The kitchen is over sized, lots of counter space, plenty of room to entertain friends and family . Tile flooring in entry, kitchen, downstairs bathroom, laundry room and dining room. The fireplace has a hearth which adds so much charm to this condo. Custom shutters on the slider and the living room windows. Upstairs features 3 bedrooms and 2 full baths. Master suite is large and has a wonderful soak tub and separate shower, double sinks and tile flooring. The third bedroom is nestled down the hall, next to a full bath, offering plenty of privacy for guests or teenagers. The private patio is a great spot for summer cookouts and morning coffee. Direct access to your 2 car garage makes living here a breeze. A short distance away is the association pool, club house, and play ground. Temecula school district. Bring your horses and toys!!! 4bd/4ba home with 2480sf on over an acre and a half of flat usable land. Family room, dining area, large den with stone fireplace and spacious bedrooms. This single story ranch home needs tlc and has tons of potential. Additional manufactured home at the back of the property perfect for additional income, rental or family. Detached over sized 3 car garage, pool, mature trees and amazing views of mountains and hills. Take a look, make an offer and don't miss this opportunity. HUGE PRICE REDUCTION!!! TWO LOTS FOR ONE!!!! Location, location, location!!!!! Beautiful BIG CORNER LOT PROPERTY, boasts 2 parcels together for a total of 13504 sq. ft. in land (APN 365142008 - 6970 sq ft. lot) & (APN 365142007 -6534 sq. ft. lot). These are 2 separate lots sold together, completely subdivided, which makes it an amazing opportunity for investors, first time buyers, growing families, just anyone. Live in one and build a home on the second one. Only a couple of blocks away from Mission Trail and between 2 very close access entries to the 15 freeway, shopping centers and restaurants. First parcel has a beautiful home with 2 bedrooms, 1.5 bathrooms, and an office that could be turned into a 3rd bedroom. It has a cozy kitchen and family/living room. Per records, house sq. ft. is 597, but house is bigger. There are 2 storage sheds in the backyard. Bring your buyers! Hidden away on the fringe of the city is this charming three bedroom residence in this scenic community in the city of Lake Elsinore. This is a wonderful neighborhood for those looking for a small town feel, and yet close enough for access to nearby shopping, activities and entertainment. The open floor plan features a spacious living area, 3 large bedrooms, separate laundry room, and a breakfast nook conveniently located right off of the kitchen. The spacious master bedroom comes with an over-sized master bath with a separate shower and large Roman soaking tub. This beautifully kept home features laminate and wood flooring in the living room and kitchen areas. This home has it all! All this and close to shopping & freeways. It is a low tax, and No HOA area that has a lot to offer! Don't miss out on this opportunity. Call now for a private showing! Cute little property gray with white trim and brick decorating the front fachia. This nice lot has a pool! Great 3 bedroom 2.5 bathroom single story pool home located on a large corner lot and is conveniently located in the center of town providing easy access to shopping, dining and entertainment. The kitchen is very large featuring wood floors, built in double oven, cooktop stove and a ton of cabinet and counter space with adjacent dining area. The living room features carpet, wood panel walls and sliding door access to the backyard. The family room has a floor to ceiling brick fireplace. The hallways between the bedrooms have nice built in wood finish cabinets. The master bedroom has sliding door access to the backyard with a master bathroom that features a tiled shower, and bathroom area with dual sinks and ceramic tile flooring. 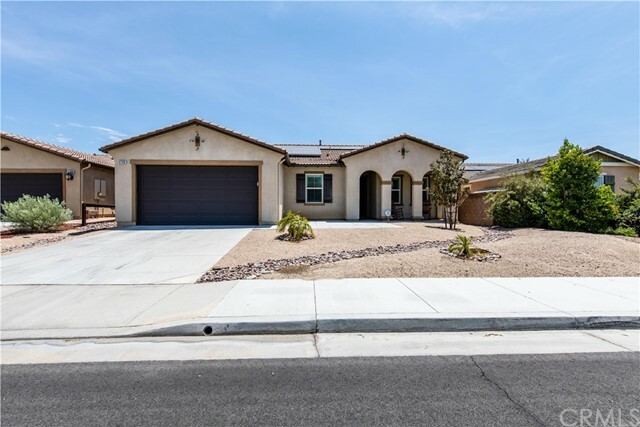 This Home you need to see is located in the very nice upscale part of West Hemet next to shopping centers and near the great high school West Valley. Great parks near by that the city keeps well groomed as well as the neighborhood. There is a lot of pride and ownership in this particular area well the neighbors are very friendly and quiet. The house has hardwood flooring throughout the living, dining and hallways while the rooms are equipped with carpet. The kitchen is equipped with newer appliances as well as the counter tops are very clean with no chips, stains or missing material. The bathrooms have brand new faucets as well as the garage rollers are just a couple of days old too. This home is absolutely perfect for fist time home buyers along with programs that are expected. Sellers are very motivated and easy to work with, as one of the family members is off to college and they will follow. come show this place as I am very easy and fun to work with. WELCOME TO WARM SPRINGS GOLF KNOLLS 55+ COMMUNITY. 3 BEDROOM 2 BATH HOME AT THE END OF A CUL DE SAC, WITH NO HOMES BEHIND YOU. LARGE BACK YARD WITH A ALMOND TREE, LEMON TREE AND A PERSIMMON TREE. HOME IS TURNKEY, RECENTLY INTERIOR HAS BEEN RENOVATED. INTERIOR PAINTED, NEW CARPET AND VINYL WOOD FLOORING. NEW COUNTER TOPS IN KITCHEN, NICE BACKSPLASH ADDED, NEW STAINLESS STEEL SINK, LOTS OF CABINETS. BRAND NEW GAS RANGE, DISHWASHER, NICE DINING AREA. ALL BEDROOMS AND MASTER BATH DOORS HAVE BEEN ENLARGED FOR EASY ACCESS. MASTER BEDROOM WITH MASTER BATHROOM, NEW VANITY CABINET WITH GRANITE COUNTER TOP, GORGEOUS SHOWER INSTALLED WITH NEW PLUMBING FIXTURES, SAFETY GRAB RAILS, GLASS SHOWER ENCLOSURE, NEW TOILET WITH SAFETY GRAB RAILS ON BOTH SIDE WALLS. GUEST BATHROOM NEW VANITY CABINET, COUNTER TOP AND FAUCET, NEW TOILET , NEW SHOWER, PLUMBING FIXTURES, GLASS SHOWER ENCLOSURE. COVERED CARPORT AND PARKING, ROOM FOR 4 CARS. GREAT CLUBHOUSE, HEATED POOL ALL YEAR ROUND, SPA, BILLIARDS ROOM, EXERCISE ROOM. CLOSE TO SHOPPING, GOLF AND FREEWAYS. Price reduction from $282,700 to $249,900. Charming 3-bedroom, 2 bath, single story home located in quiet SPRINGHAVEN Senior Community 55+ centrally located in the city of Menifee. Large windows throughout the home, provide tons of natural light and the open floor plan boasts laminate flooring throughout the entire home. The galley style kitchen has plenty of cabinet and counter space and opens into a cozy dining nook. The living room houses a cozy fireplace and opens onto the low maintenance backyard, where you find a covered patio where you can sit and enjoy the shade or start up the grill. This single-story beauty welcomes you through its cute, well-manicured front yard, complete with your own shady tree in front. Low taxes & HOA dues, close to shopping, and amenities. The community has a small park for your enjoyment. If you are looking for peace and quiet, this home is right for you. THIS IS IT! Two Bedroom, two bathroom condo located in the desirable Verona community. With gated entry and lots of amenities. This condo is perfect and ready for you to move in or as an income property. Tile and carpet inside. Nice size bedrooms and living area. There is a covered balcony and 1 car garage. The association has a pool, picnic tables, bbq and a fully equipped workout room. Located in Murrieta close to Temecula, the location can't be beat. 9.02 acres in the middle of Menifee!! This beautiful lot is zoned R-A-1, (Residential, Agricultural) with land use of R-A-5 and R-A-1 (Buyer to verify all zoning information with the City of Menifee) This lot has a great view lot with the possibility of building a main house and a guest house. There is also access from the south on Craig Ave. Come see for yourself what a great piece of property this is!!!! !There is a power pole and a fire hydrant at the end of Saddleback Lane. (buyer to verify access with utility companies) SELLERS ARE OPEN TO CARRY A FIRST TRUST DEED. Must See! This cutie is located in the desirable community of Spring Knolls. Very clean inside and out, wood laminate flooring, renovated kitchen, upgraded stove top and oven, farmhouse sink and upgraded faucet. Mirrored closet doors in the master bedroom & bath with sunken tub and walking shower. The second bedroom has easy access to second bathroom with walk in shower. The enclosed porch has custom window covering and leads to covered patio. The backyard has some space for a garden. There is a shed that comes with the property. Seller is including washer & dryer with purchase. All appliances are included! So, just move in and start enjoying the neighborhood and convenient shopping, gyms, and restaurants. Incredible 40+- acre lot of varied topography in an area of potential growth and just a short 2.5 miles from Winchester Rd located in the city of Winchester. Great location for horses, cattle, get-a-way, with country atmosphere but close to all city amenities. Temecula wineries close by and easy access to local area freeways, beaches, and mountains. This has it all including breathtaking views of the surrounding countryside along with the quiet and seclusion that makes this a true paradise. So charming! This property has a beautiful fachia! Gray and white with a cobblestone front entry! It also has a huge side yard with RV access! What more could you want! Oh how about if it sits on almost a half an acre! Making it a must have! This is an investors dream. Cute buttercream front fachia with red shutters! Large front lot with lots of room. Its on a nice corner lot! Dont miss out! This is a perfect property for an investor with huge return. Needs upgrading on the inside but is kept clean. This Property is on a side road so very private. Its a little hard to find unless you know to turn down the street where the house should be. It has fresh paint and is perfect for an investor. This charmer has a large front yard and side carport. Fresh Paint and great for an investor. There is a 2 bedroom one bath up front and a studio and 1 bath in back. Its a great deal! Dont miss out! This property is perfect for an investor with huge return! It is a corner lot with a big back yard and fruit trees that are mature. Dont miss this cute little home! Perfect for investors!!! Huge income return. This is a very quaint Spanish style property with lots of curb appeal! Next to schools and town. Fantastic price and we will make sure everything on property is working at the close of escrow so you cant go wrong. This property is perfect for an investor with huge return! Fresh paint outside and definitely worth a look! Great rental property or Started home. 2 Bed-1 Bath. Very open floor plan that connect the family room and dining room. The kitchen was jut remodeled with new counter tops and paint cabinets. New laminated flooring throughout and fresh paint. Washer and dryer hook ups in attach garage. 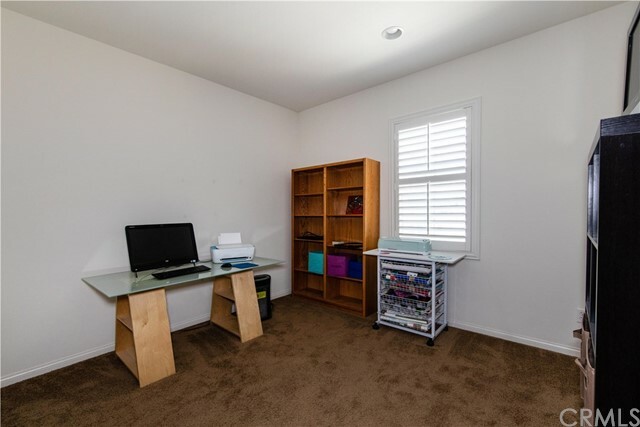 Small addition room that can be use as an office, seller do not know if is permitted. Property Sold As Is. No Repairs! “Subject to canceling current escrow at not fault to seller. Buyer couldn’t perform”. Welcome to Sun Meadows 55+ Community. This is an adorable turnkey home! This home features 2 bedroom, 2 full baths. Walk into living room, then enter into formal dining room next to the beautiful kitchen. Large laundry room with lots of cabinets, and entry to garage. Guest bath has tub with shower. Master bath has dual sinks, garden tub with separate shower. Large master bedroom with large walk-in-closet. Exit through the master bedrooms sliding door out onto a lovely extra wide double patio. Plenty of room for entertaining. Out back you'll find an orange tree, rose bushes, as well other greenery. You'll also find a storage shed. On the patio is beautiful french doors leading into the two car garage. This home has an extra long driveway for more parking room. Some of the amenities Sun Meadows offers are, banquet room, kitchen, poker room, billiard room, swimming pool, Jacuzzi, sauna, workout room, sewing and craft room, and shuffle board. This is a manufactured home park and there is a space rent. This home is a must see!!! Beautiful home in the quiet area of Sierra Dawn North, 55+ community of Hemet. 2 bedroom, 2 bathroom, living room, family room and spacious kitchen with new sink and garbage disposal, new range stove top, new oven. Dining room with built-in hatch. Owner spare no money with improvements. New plumbing, newer white vinyl fence, newer storage. In frond beautiful covered patio with lots of space for your plants and patio furniture. Covered carport in the back and space for privacy. Laundry room with cabinets and closet for storage. Just come and see how well maintained this home is and how many extras the owner did to make it so cozy. This is truly a great investment opportunity. Very low maintenance front yard, low taxes and extremely low HOA. Truly pride of ownership. This home is located in Sun Meadows 55+ Community. This 3 bedrooms, 2 bath has been partially updated. Large living room, dining room, master bedroom with large master bath. 1440 sq ft of living. New carpet, new title, new laminate. ***PRICED TO SELL!!! ***LOWEST PRICED COMMERCIAL PROPERTY IN ALL OF HEMET, GREAT FOR POSSIBLE OFFICE SPACE, DENTAL OFFICE, CHURCH??? UNIT 2 OF 4 UNITS IN SMALL CENTER. AT THIS PRICE, WON'T LAST LONG. SET UP YOUR MOBILE HOME OR LET YOUR ANIMALS ROAM! Come experience peaceful country living not too far from the city. 5.64 acres of raw, unimproved land tucked away in a small town; not far from the main highway and casino. Large unique lot has access from roads on 3 sides. Utilities available in the area. Zoned for agriculture, residential, business, or livestock. Currently covered with native plants. Parcel (007) in center is surrounded by fencing - has access via easement. BUYER TO VERIFY ALL. SELLER IS HIGHLY MOTIVATED! HILLSIDE MOBILE ESTATE, GATED 55+ COMMUNITY. 3 BEDROOM 2 BATH. SPACIOUS KITCHEN WITH BREAKFAST BAR WHITE CABINETS. LARGE MASTER BEDROOM WITH A LARGE MASTER BATHROOM, GARDEN TUB. SECOND BATHROOM HAS A SHOWER. VAULTED CEILINGS. NEW LAMINATE WOOD LIKE FLOORING INSTALLED, LOOKS FABULOUS. SEPARATE LAUNDRY ROOM INCLUDING WASHER & DRYER. SMALL FENCED IN AREA OFF OF FRONT PORCH, PERFECT FOR A SMALL PET. NICE CLUB HOUSE WITH SWIMMING POOL, JACUZZI, BILLIARDS ROOM. CLOSE TO SHOPPING AREA, RESTAURANTS, BANKS, HOSPITAL AND FREEWAY. THIS IS A 3 BEDROOM 2 BATH, RARE TO FIND. Back on market....Where can a Senior 55+ live for under $675 a month in Temecula? This is the only park in Temecula, and is "Owner Occupied Only." And Has, NEW Range, Refrigerator, Stacked Washer/Dryer, Kitchen Counter Tops and Sink. New flooring, Carpet in Bedroom Wood Laminate throughout the rest. Even a New Toilet. Large Lot, With Large Pine Tree for shade. Covered Patio and Carport. RENT Space for new owner $662Monthly. Come check out this wonderful 55+ community. This is a rare corner unit on a large piece of land. Home is in good condition. It does need to be updated but can be moved into immediately. Community has a club house and a pool available for you use. Peak a boo views of the Ortega Mountains. Located in close proximity to the 15 freeway. 9.71 Acres directly across the street from the Red Earth Casino and wonderful view of the Salton Sea, easy access off the Highway and 15 minutes from Ocotillo Wells. This would be a great RV park. § 90519.00 PURPOSE & APPLICATION The S-2 Zone is considered to be the Open Space Preservation Zone. The primary intent here is to preserve the cultural, biological, and open space areas that are rich and natural as well as cultural resources. The S-2 Zone is dominated by native desert habitat and stark topographic features. While certain uses are allowed within the S-2 Zone, such uses must be compatible with the intent of the Open Space and Conservation Element of the General Plan. HILLSIDE MOBILE ESTATES, 2 BEDROOM, 2 BATH , NEW A/C UNIT, LARGE BACK YARD. ALL FURNITURE OPTIONAL WITH REFRIGERATOR, WASHER & DRYER. SOME FURNITURE OPTIONAL. CARPET LOOKS GOOD. SOME TLC NEEDED. CLOSE TO CLUB HOUSE, SWIMMING POOL. CLOSE TO SHOPPING CENTER, RESTAURANTS, BANKS, MEDICAL HOSPITAL. SPECTACULAR PANORAMIC VIEWS come with this Gorgeous upgraded view home! This open and spacious floor plan includes front and back yard landscaping and a breathtaking exterior design. Large windows flood the Great Room, nook and kitchen with an abundance of natural light. Indoor/outdoor connectivity with the covered patio. The gourmet kitchen features stainless steel appliances, granite countertops and beautiful Maple cabinetry along with a walk-in pantry and culinary island. Guests will appreciate the private downstairs bedroom suite. Features a stunning view from the main level luxurious Master suite includes dual walk-in closets, seated vanity area and oversized soaking tub with separate shower.plus a amazing view from the deck off of upstairs 2nd master bedroom. Morgan Hill offers one of the best locations for Distinguished California Schools, First Class Association amenities and convenient access to freeways, shopping and world renowned Temecula Wine Country. Just minutes away from the fabulous Pechanga Casino known for some of the best restaurants, night life, and of course hundreds of gaming opportunities. Why buy when you can lease this turn key property at a fraction of the price? The home is perfect for anyone that wants the luxury of a turn key property without the burden of a long term commitment of a home purchase. Schedule your viewing today before this amazing opportunity slips away. VIEW...VIEW...VIEW!!! A Beautiful home in quite Cul-De-Sac with 4 bd/3 full bt, an office with FRENCH door, Fire place in Family room, A HUGE loft, a Big BONUS room, Separate Formal dinning room, Living room, Open BIG kitchen with Custom GRANITE counters, Upgraded Tile & Carpet throughout. A SPACIOUS Master bedroom, with BIG walk-in closet. VIEW of Golf course, City light, Mountain, & Trees. A Beautiful Granite Bar area for Entertaining. A CUSTOM design entrance with lights with trees. A TRULY LOVELY HOME ! Stunning Turnkey Four Bedroom Three Bath Home on the GOLF COURSE. Main Floor Bedroom & Bath. Huge Bonus Room & Awesome Views. Updated Light & Bright. Gourmet Kitchen, Spacious Family Room with Fireplace, Inside Laundry, Cul de Sac location and so much more. Shows like a model home. Gardener Included. No Pets. Welcome to the exclusive gated community of Bear Creek. Absolutely gorgeous single story detached condo located in the Country Club Villas on a cul de sac. This condo offers 2 bedrooms and 2 baths, high ceilings, an open floor plan with upgraded flooring and a recently upgraded kitchen with granite counters. The living room has a cozy fireplace for those chilly winter nights & overlooks the patio and green belt. 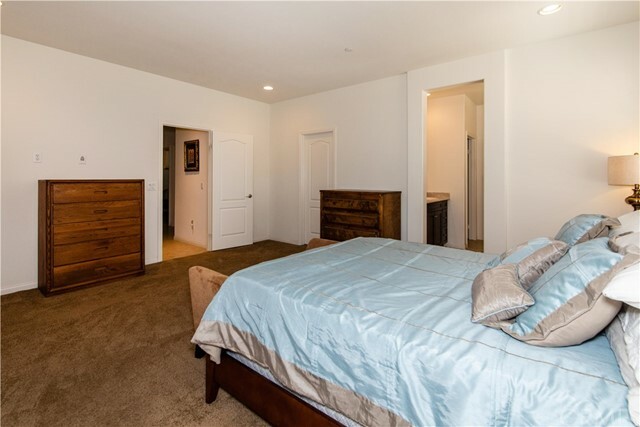 The master bedroom is spacious with a walk in closet. The second bedroom is also spacious. There is a two car attached garage. The amenities in the community include tennis courts, work out facilities, swimming pool, plus a golf course and practice range. The Country Club includes a restaurant. This home is close to shopping, freeways and schools. Take a look and fall in love! This cozy and beautiful house located in the desirable community within Great Oak school area. The community offers swimming pool near the property. Short walking distance to middle school for your kids. Conveniently close to everywhere you like to go, freeway,shopping area,hospital ,casino and wineries. The property offers main lever one full bath and open up floor plan. Living room with high ceiling brights your eyes as well. Plus NO rear neighbor ,nice size backyard. Don't miss it out!You 're welcome to visit! Fantastic single story in excellent condition on corner lot of culdesac. Great open views from Backyard! 3bedrooms +either den or 4th bedroom. Lots of counter space & cupboards in kitchen, including kitchen island. Tile floors from front door through to kitchen and down hallways and bathrooms. Price includes Lawn Service. Single Story attached home in small community. 2 Bedoom- 2 Bath. Property was updated a few years ago in kitchen and bathrooms. Tile flooring and carpet in master Bedroom. Two patio areas with fencing on one of the patio. Refrigerator,washer and dryer included. One car garage. Great location in Murrieta, close to shopping and restaurants. Has Community pool. Ready to move on or before May 15th. Coming Soon!! Available October 15th!! Enjoy Temecula valley living at its finest! 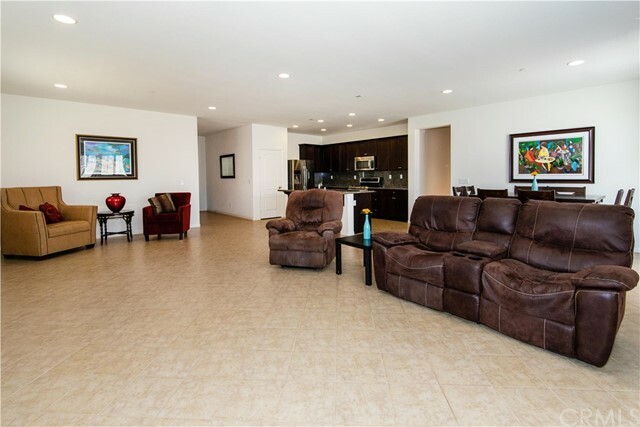 This 2 bedroom, 2 bath condo is located in the desirable community of Arboretum in the heart of Murrieta. With an open floor plan, high nine foot ceilings, tile throughout the main living areas, and carpet in the bedroom, this end unit is airy and bright. Cozy up next t the fireplace in the family room or relax out on the balcony. The kitchen overlooks the dining and family areas. The master bedroom has a walk in closet and a garden tub in the bathroom. Washer, dryer and refrigerator are included and are inside the unit. There is plenty of storage available with an attached 1 car garage, a walk in utility closet and ample storage areas inside the unit. This gated community has two sparkling pools, 2 jacuzzis, a wading pool, club house, lounging decks and multiple playground areas allowing for fun and recreation. Part of the award winning Murrieta school district, this property is close to schools, shopping and freeways. Make this your home today!